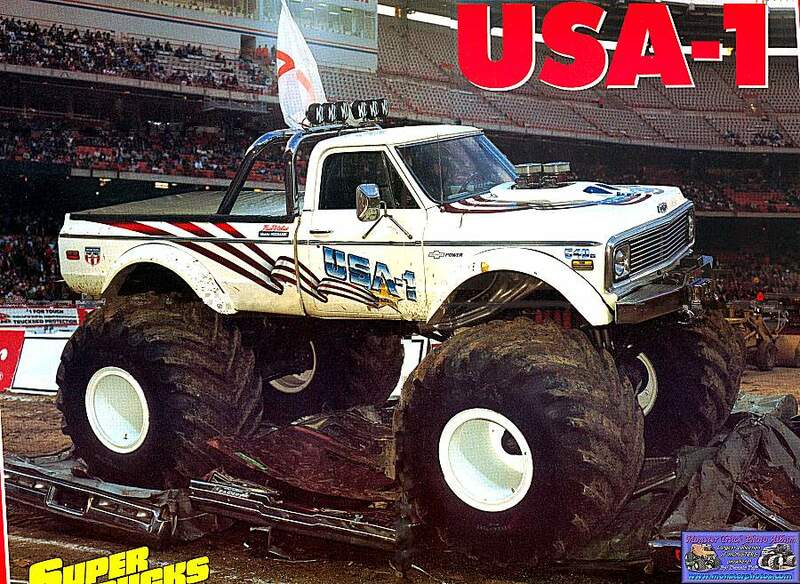 Yesterday 2/22/8 I spent about 1 hour on the phone with Everett. 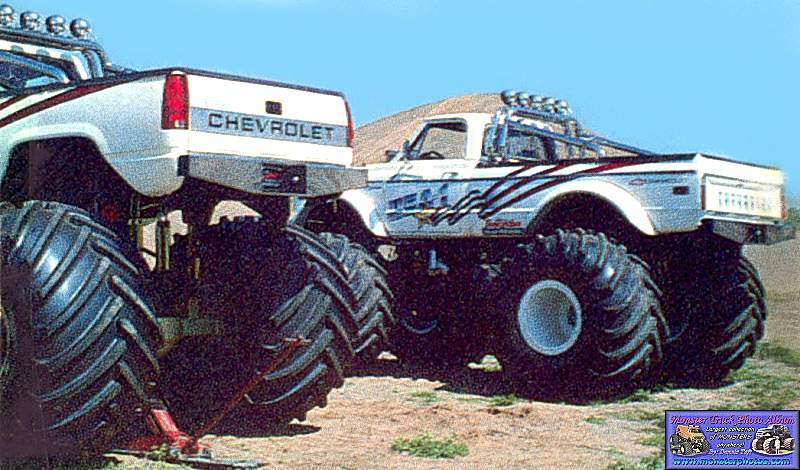 I had a request from a fan to ask if he could take his child to meet Everett. 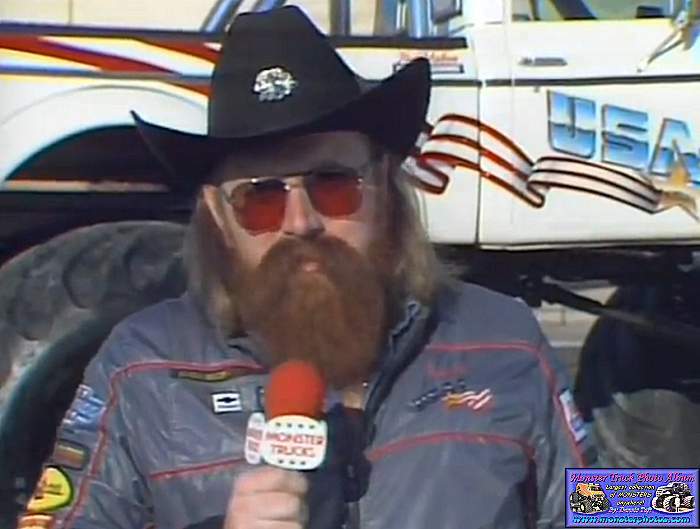 Everett said by all means, let everyone know that he is not untouchable, just give him a call. 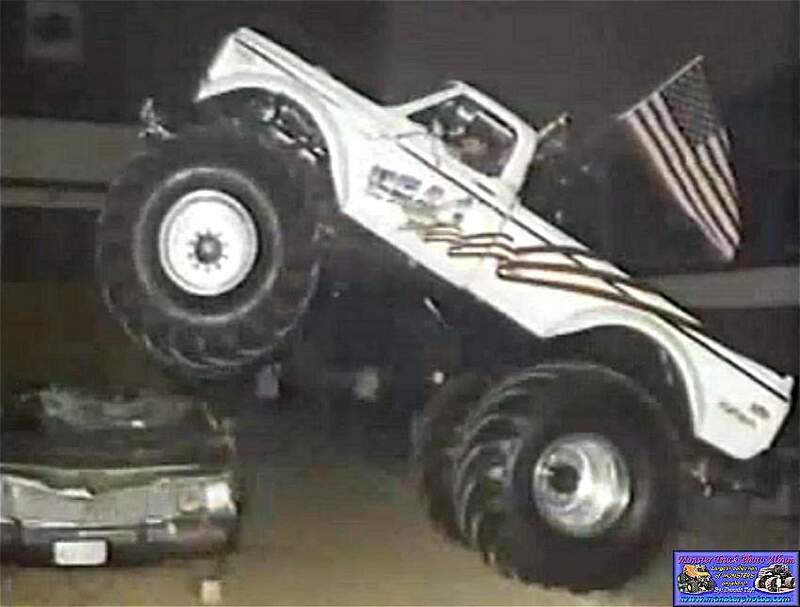 He is thrilled to talk with and meet the fans. 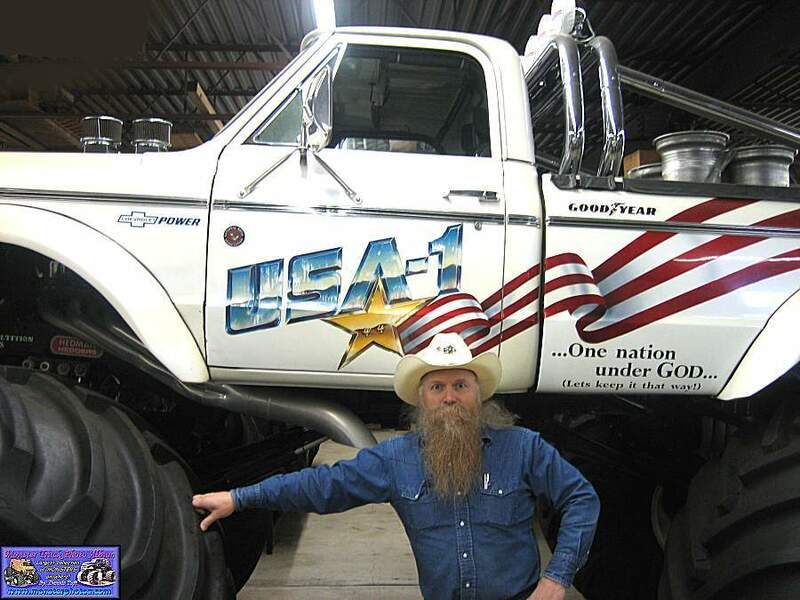 He says "I'm just a good ol boy" he doesn't want to be treated like a star, just a person. 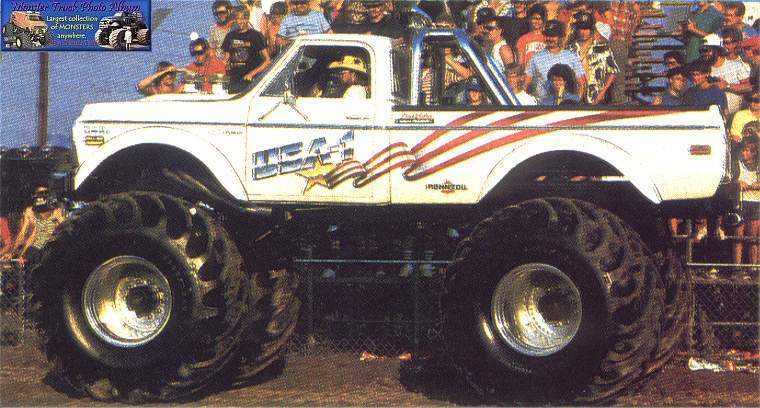 So give him a call (763) 434-8813. 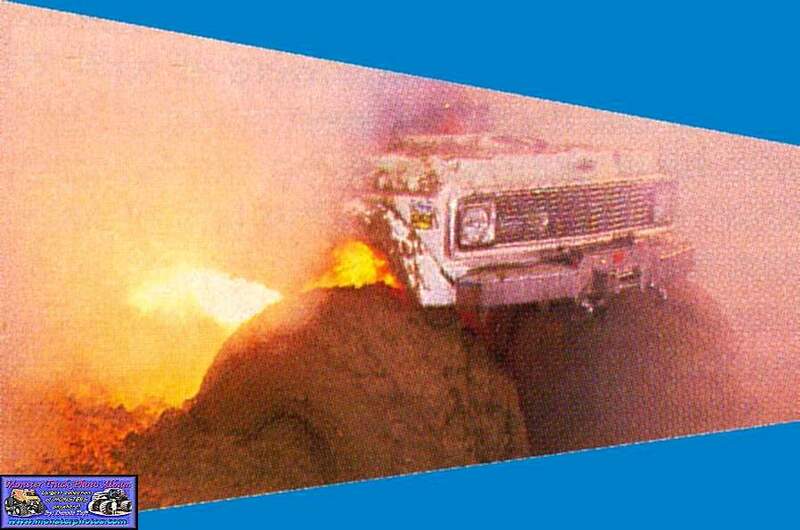 Everett gave me these 6 pictures. 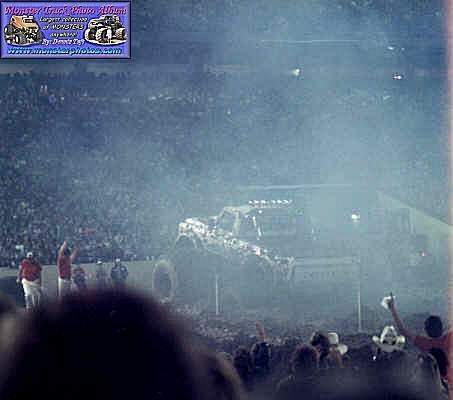 Jeff Bates sent me this shot. 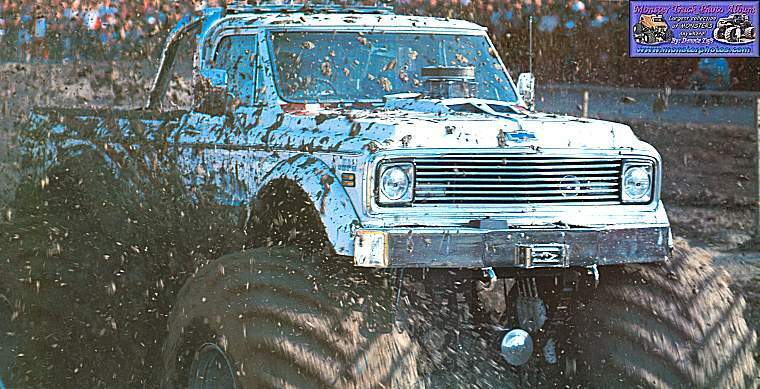 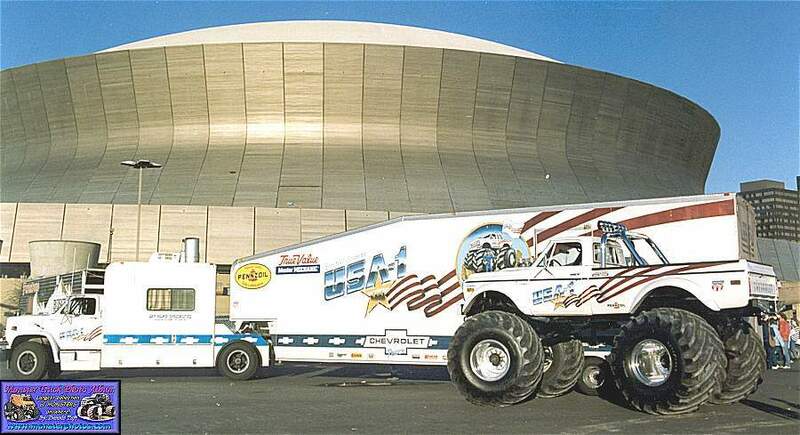 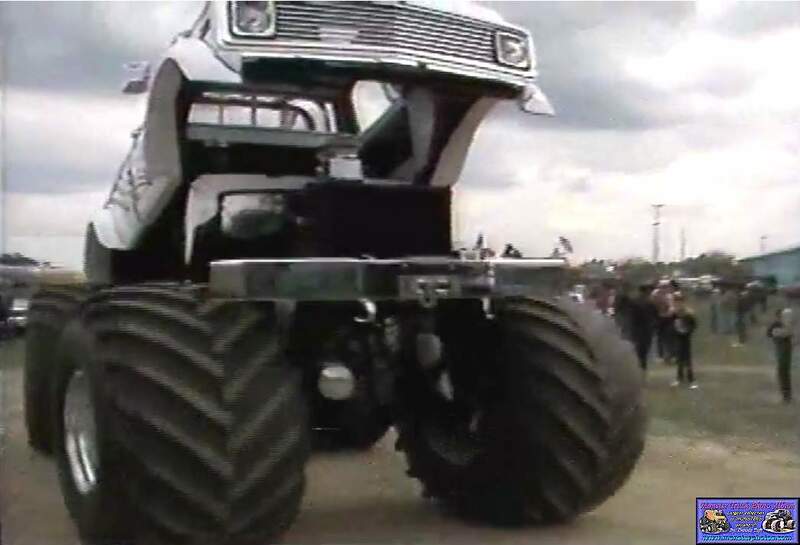 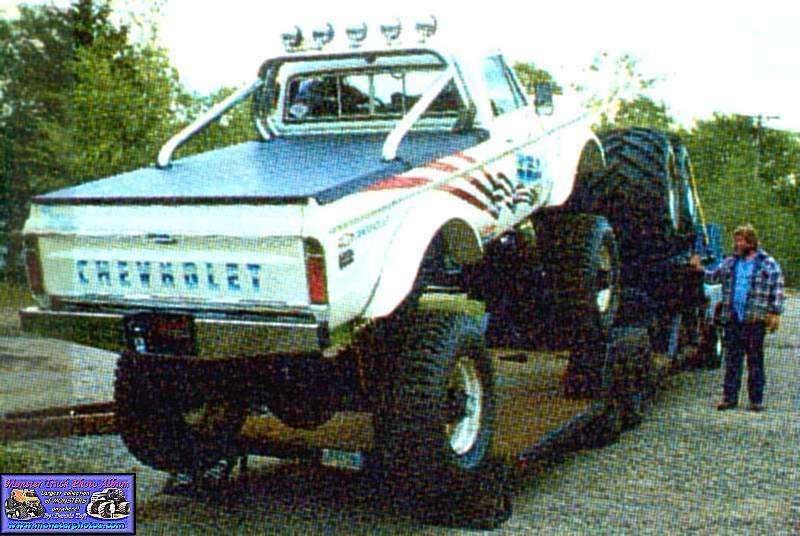 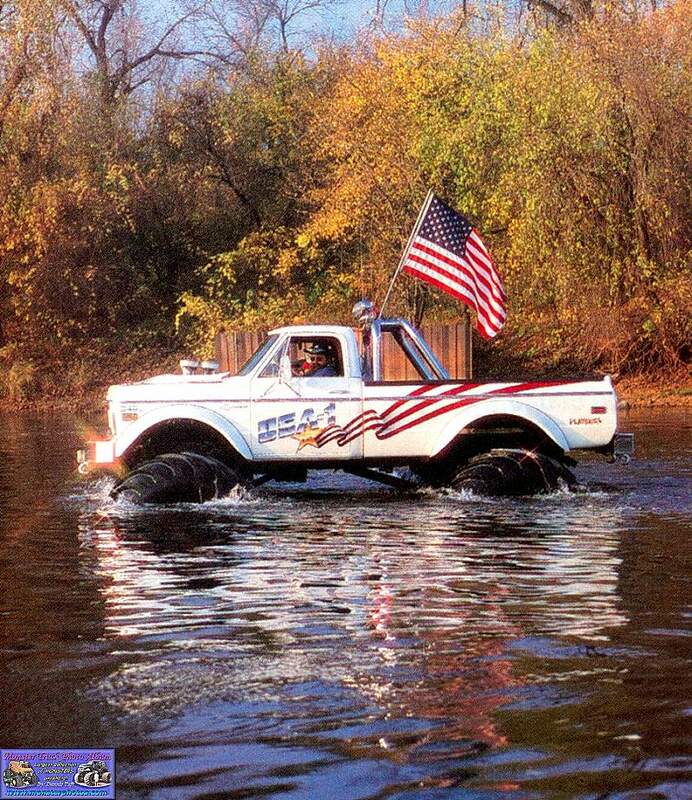 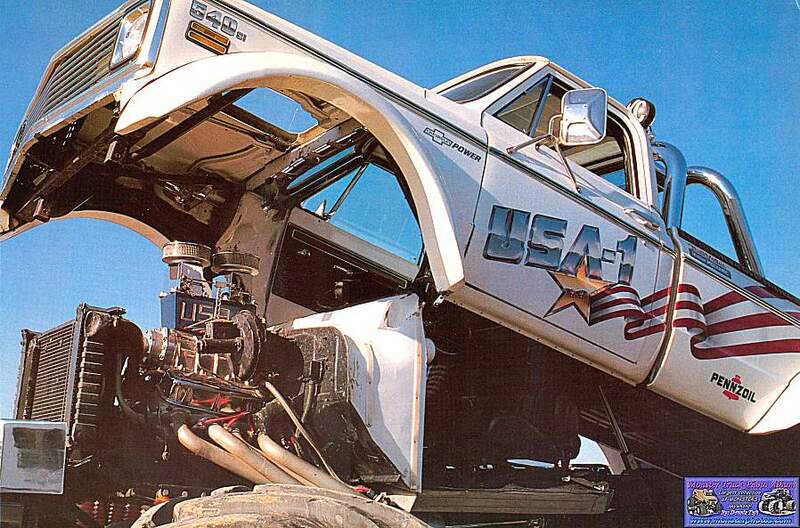 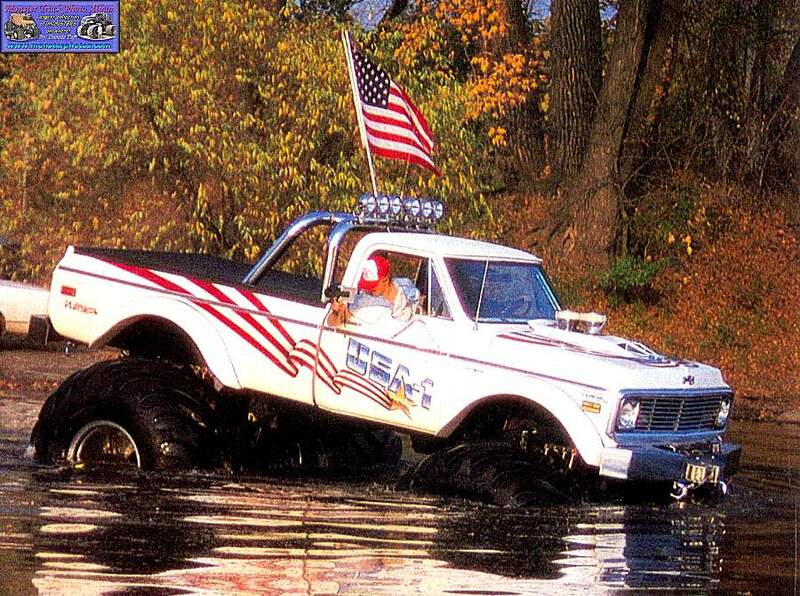 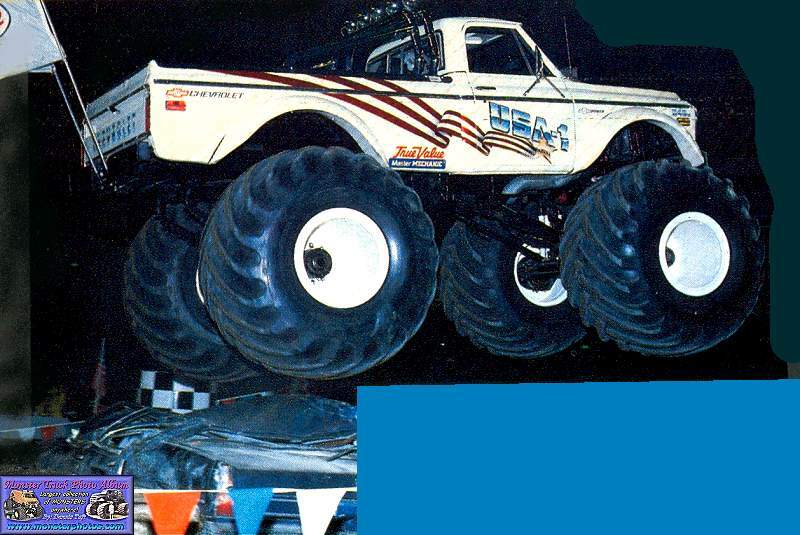 I scanned these shots from Bill Holder's book "Monstrous Trucks". 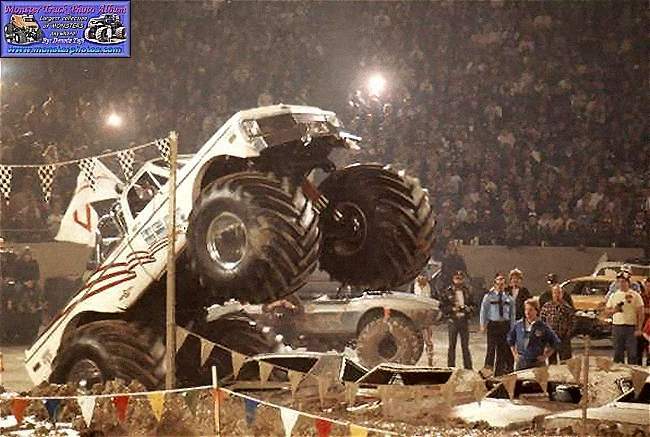 Photography by Harry Dunn. 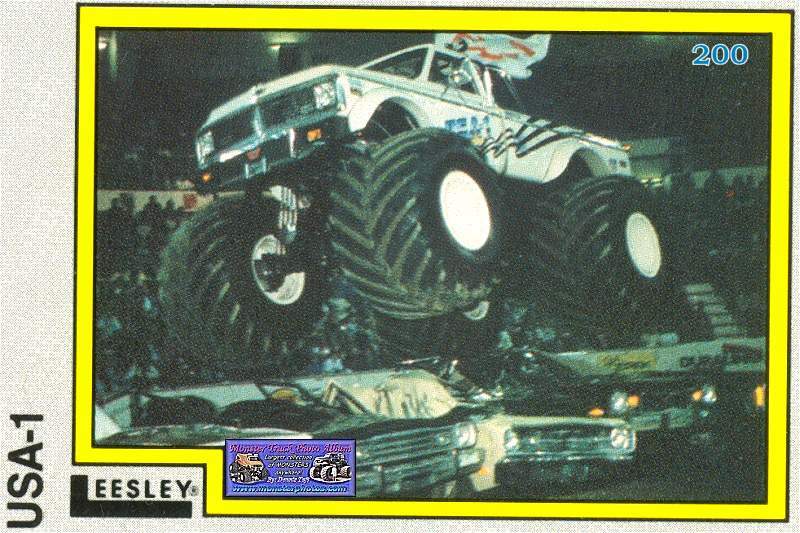 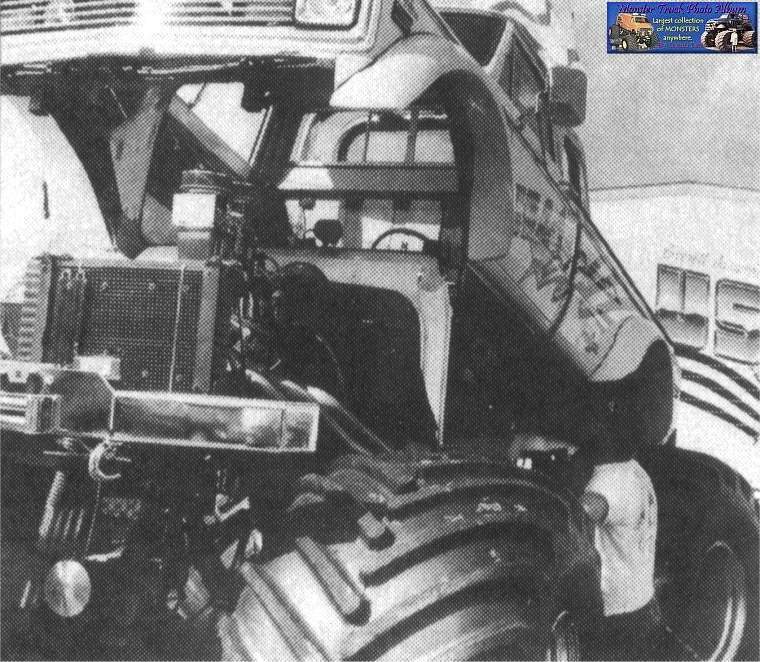 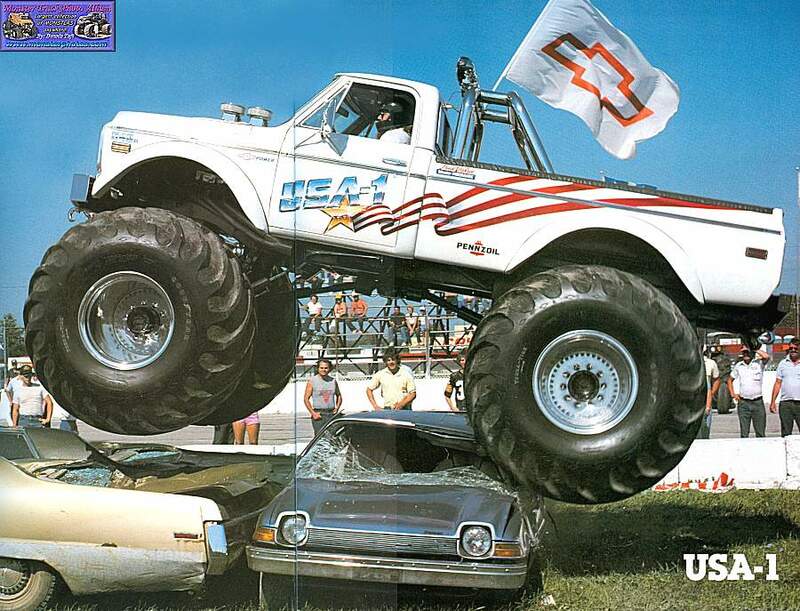 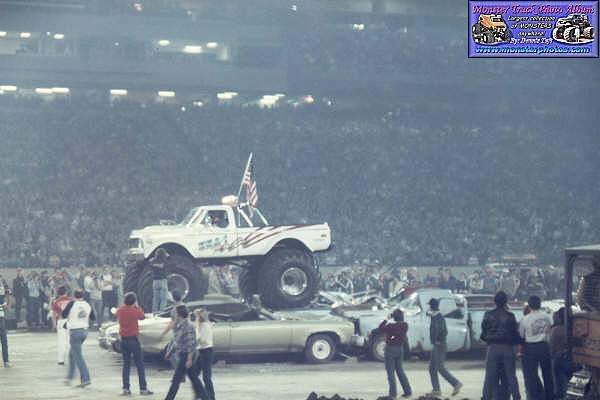 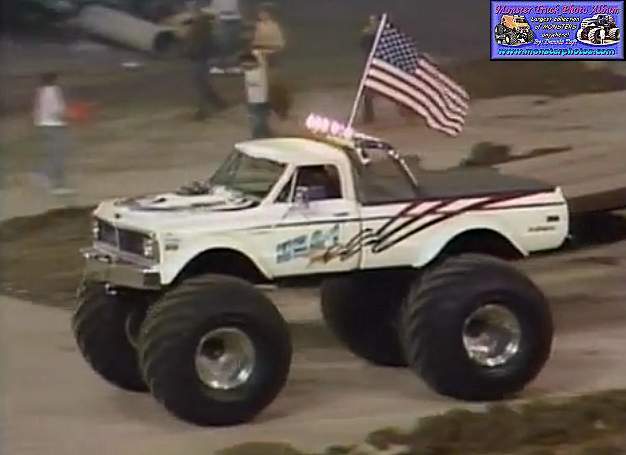 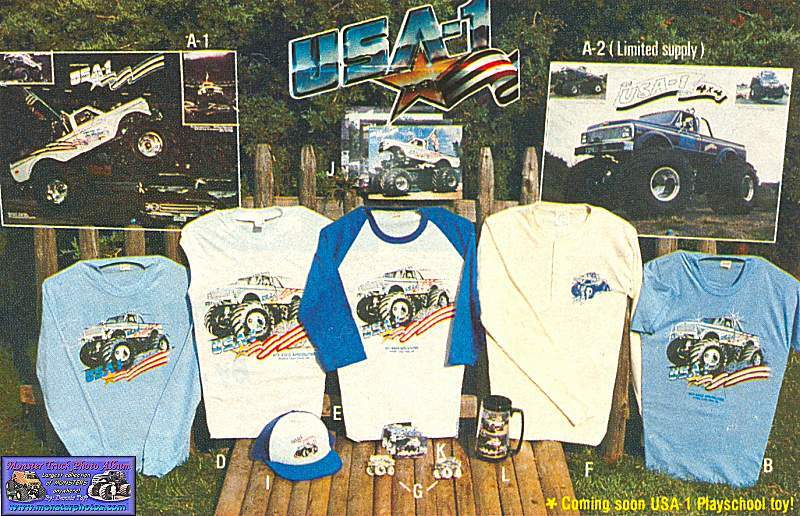 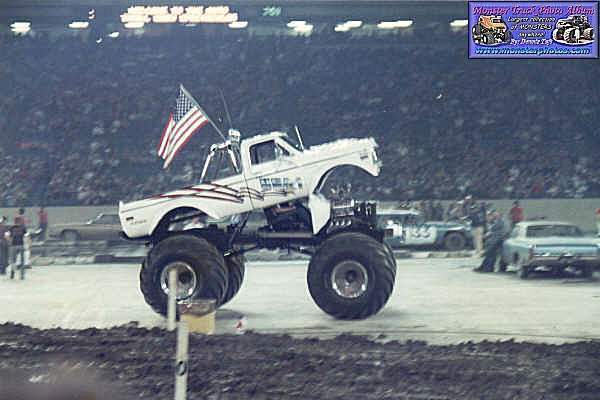 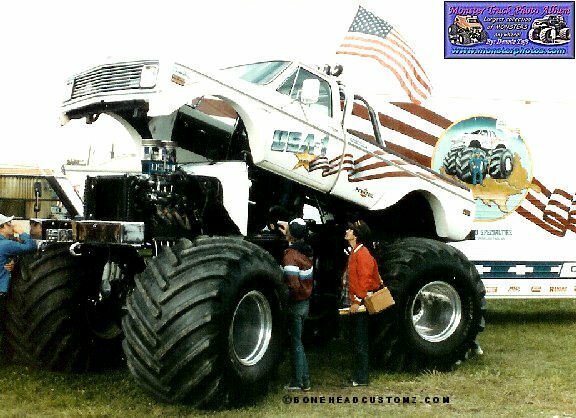 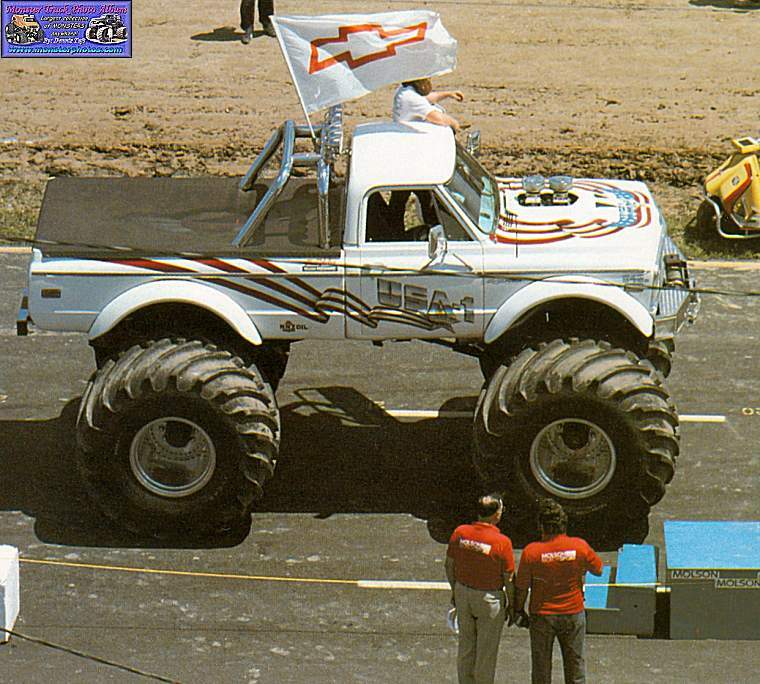 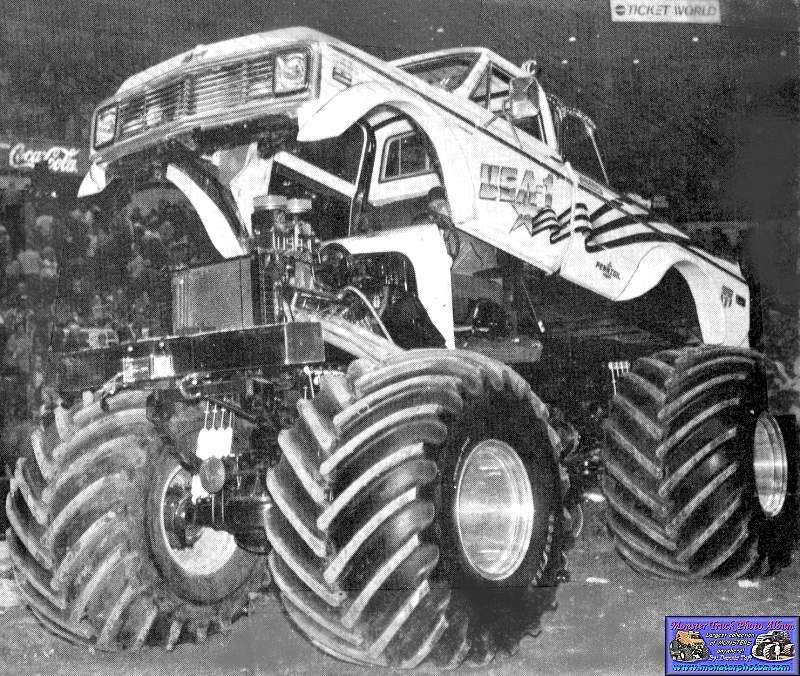 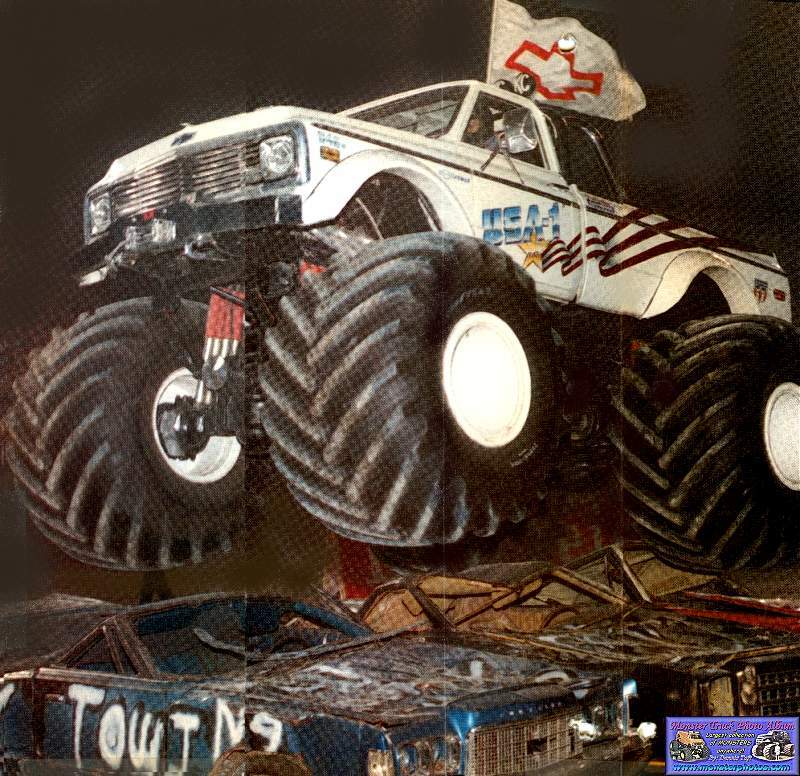 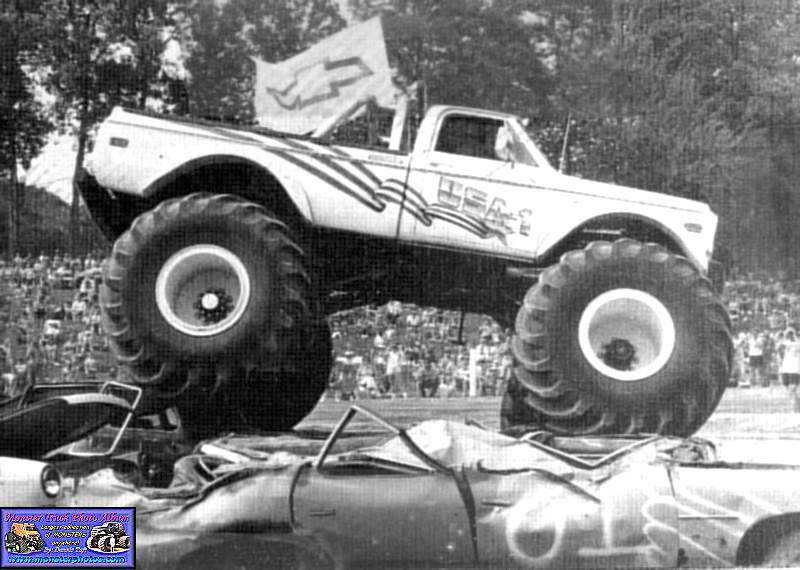 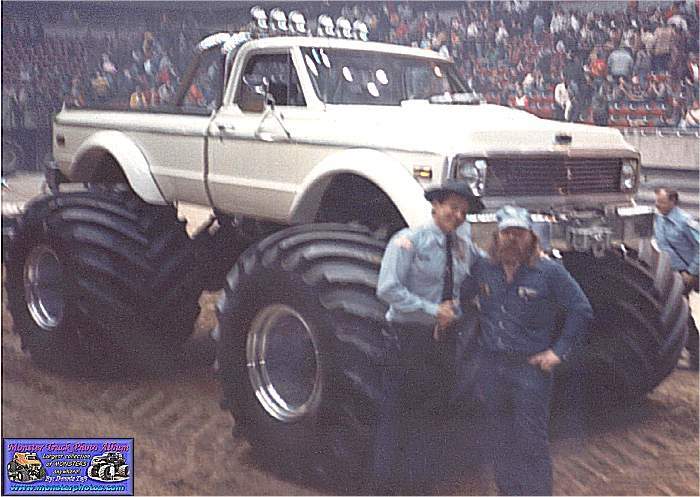 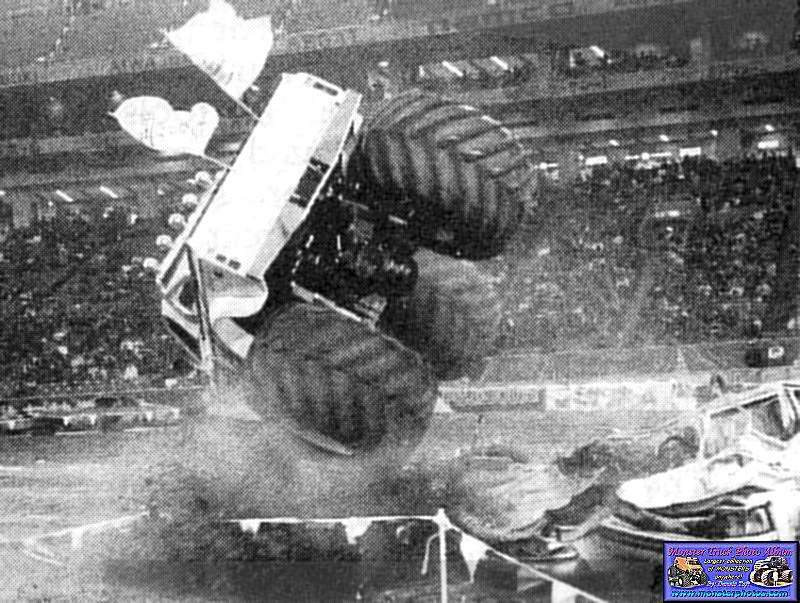 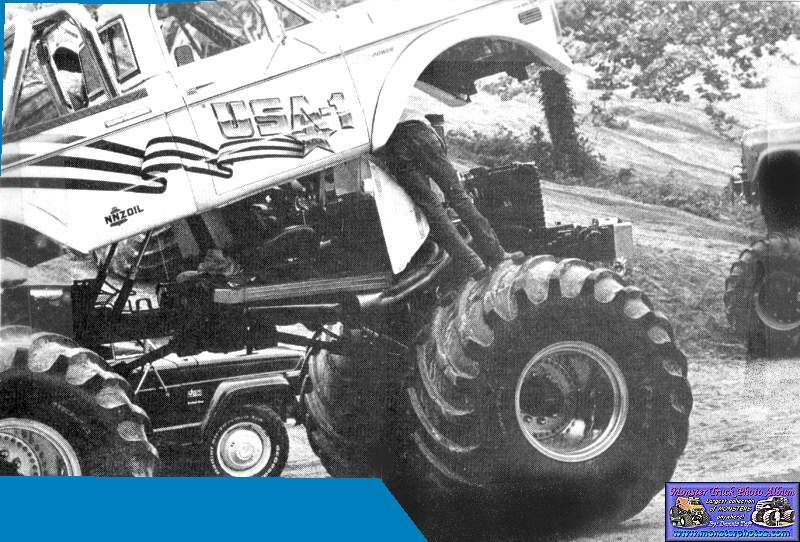 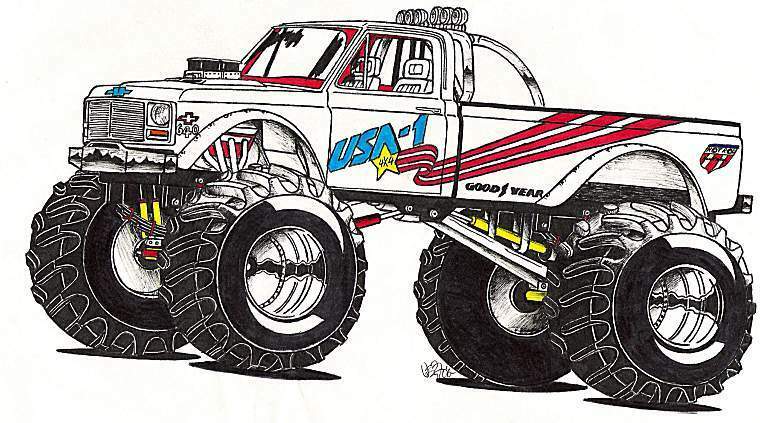 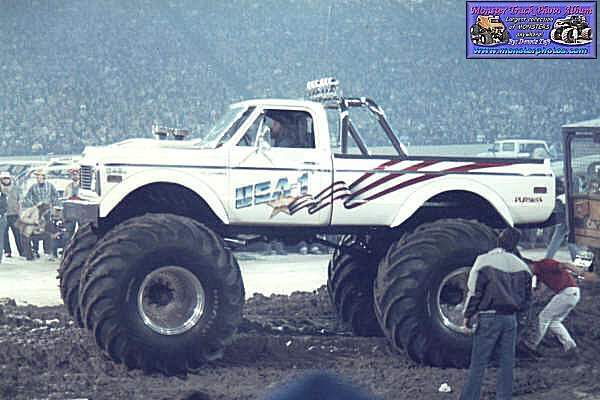 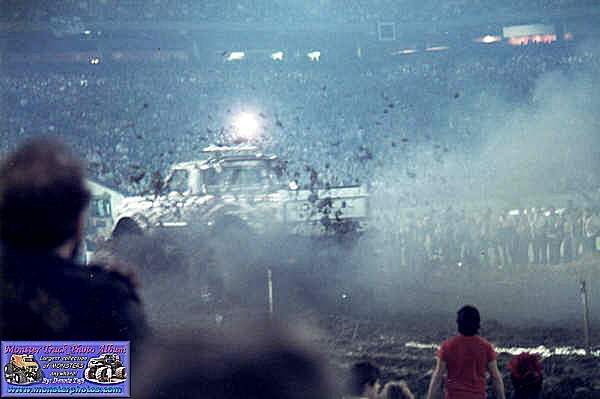 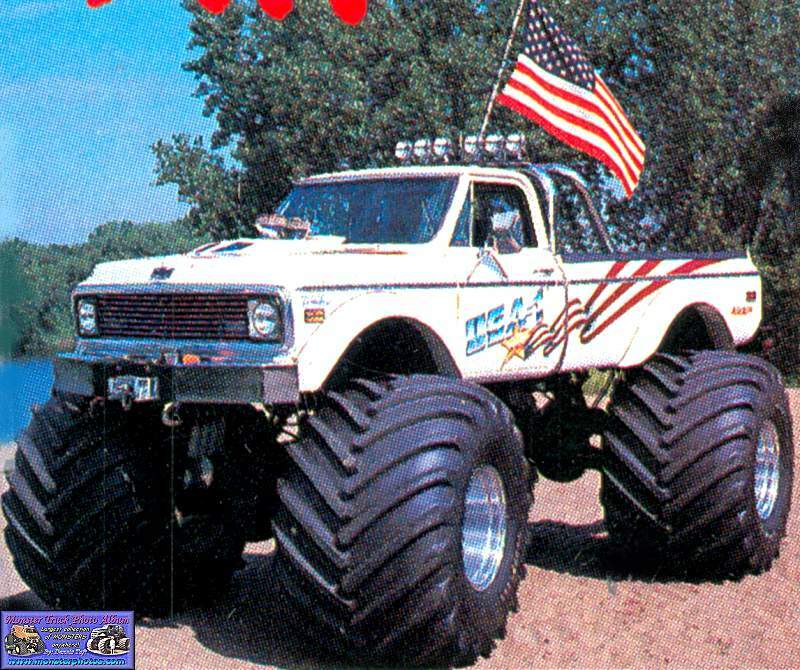 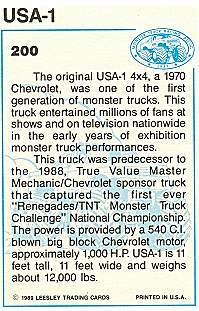 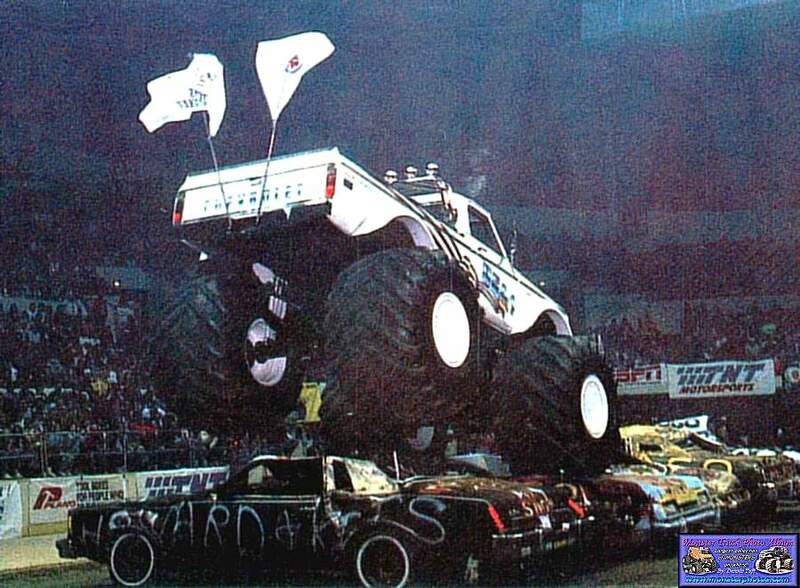 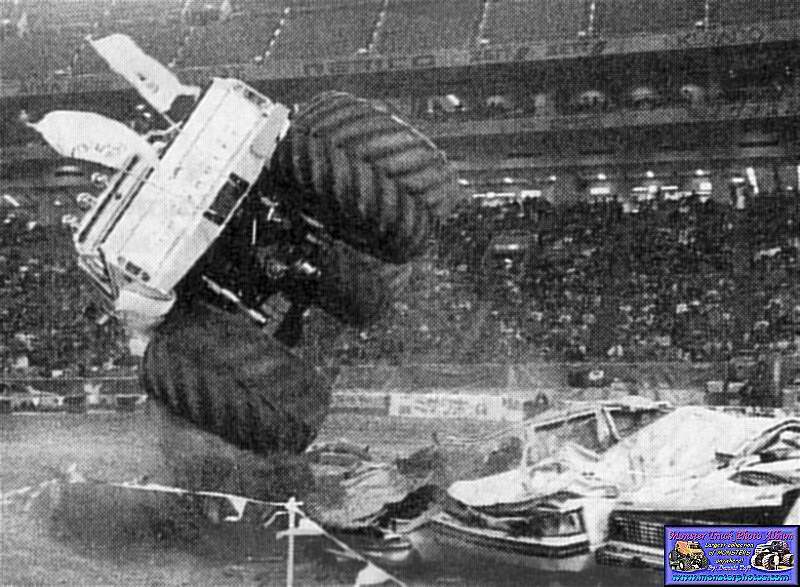 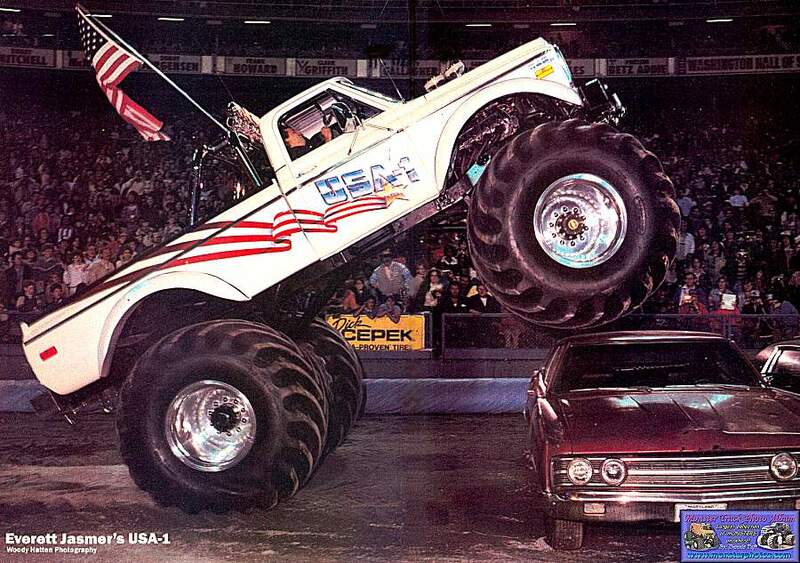 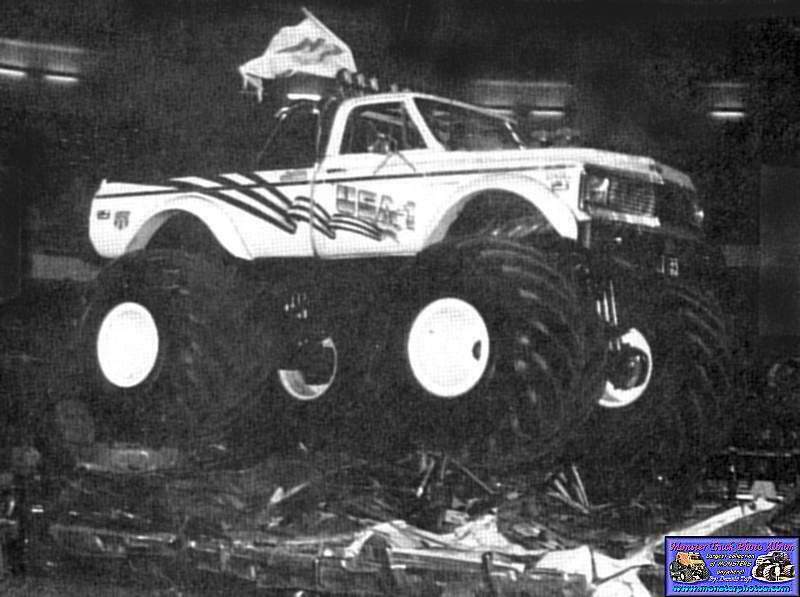 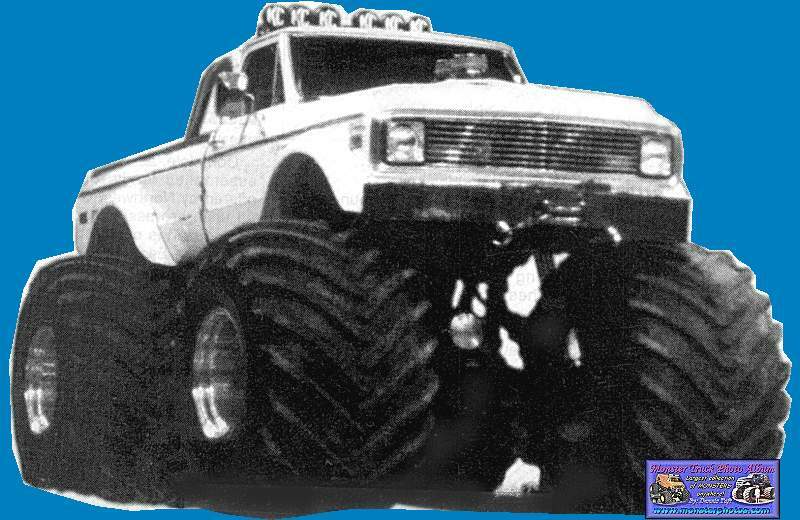 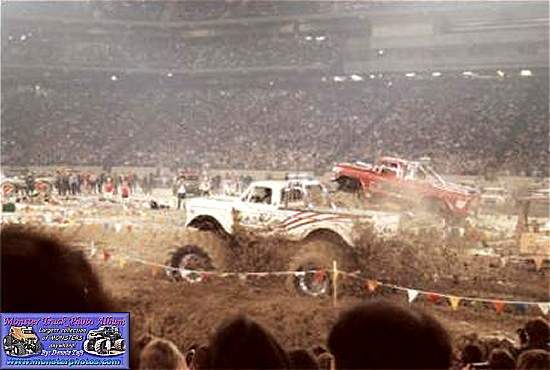 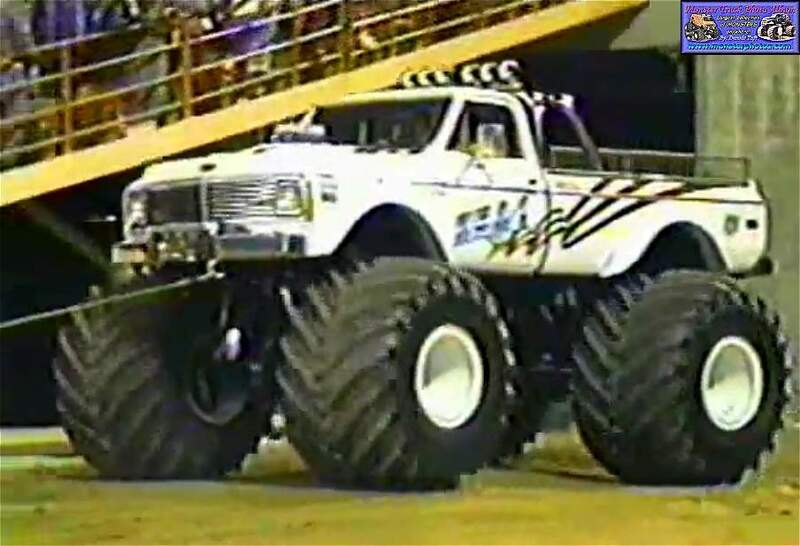 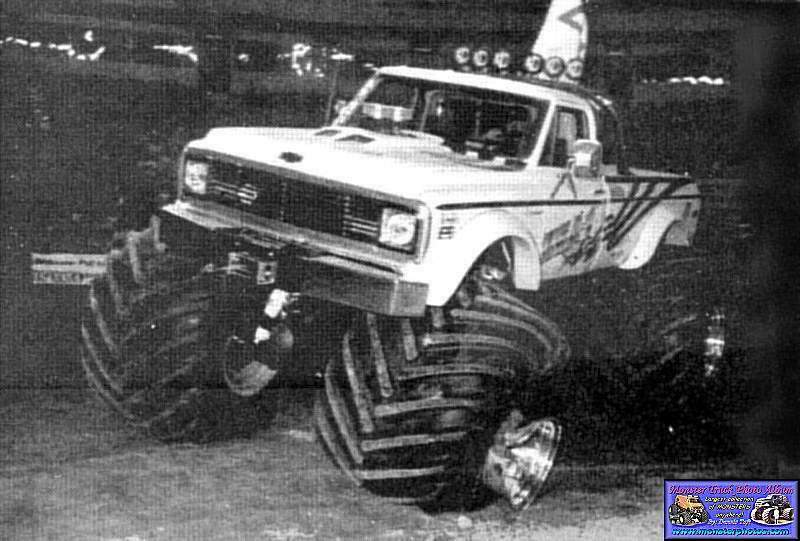 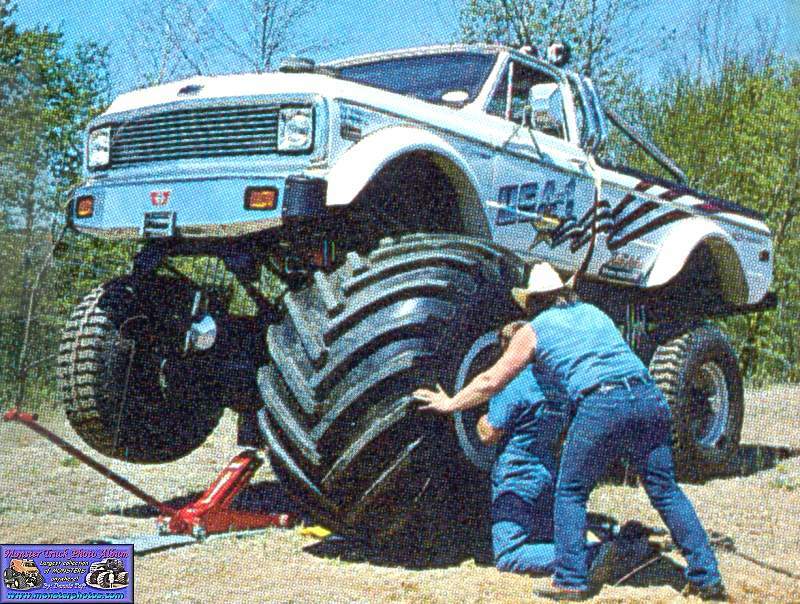 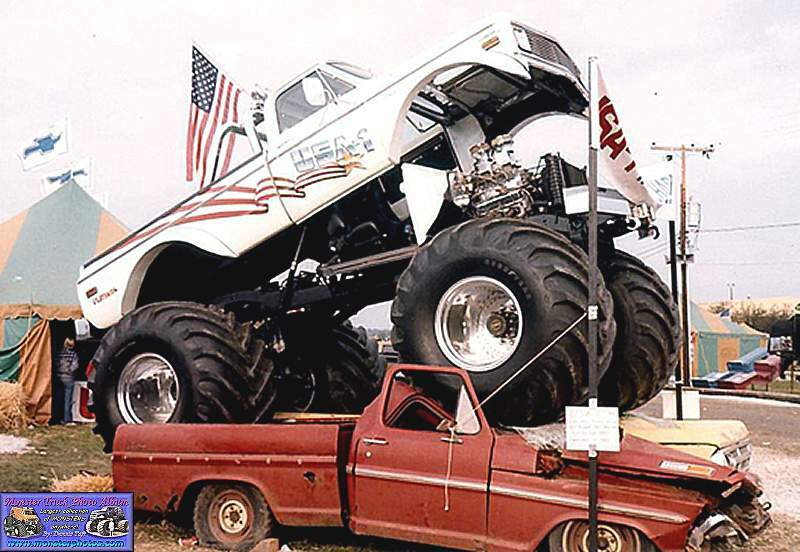 I scanned these shots from Michael Bargo's book "Monster Trucks". 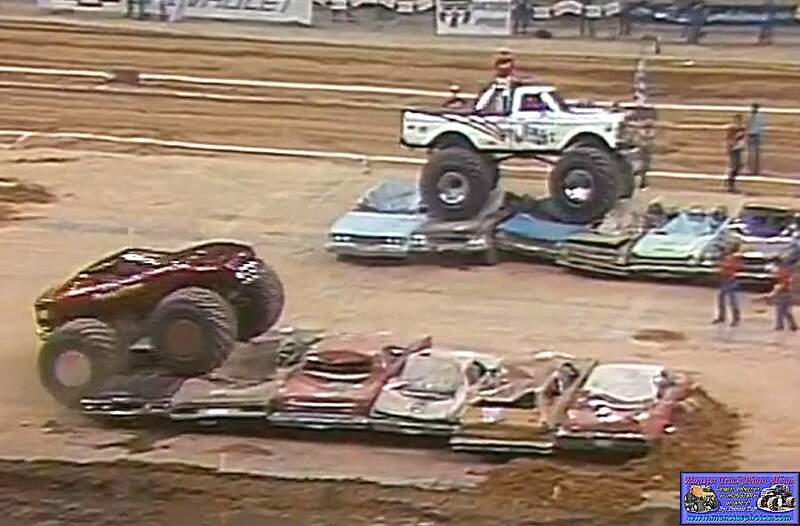 Jeff Cook of War Wagon sent me this shot. 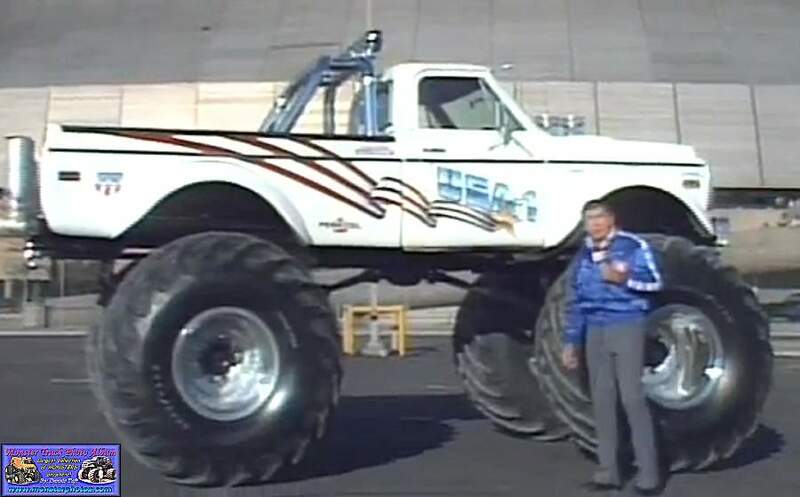 Don Sheehey sent me the next 6 shots. 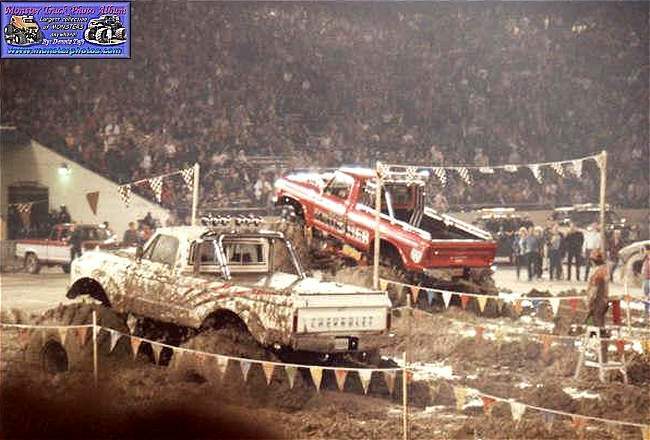 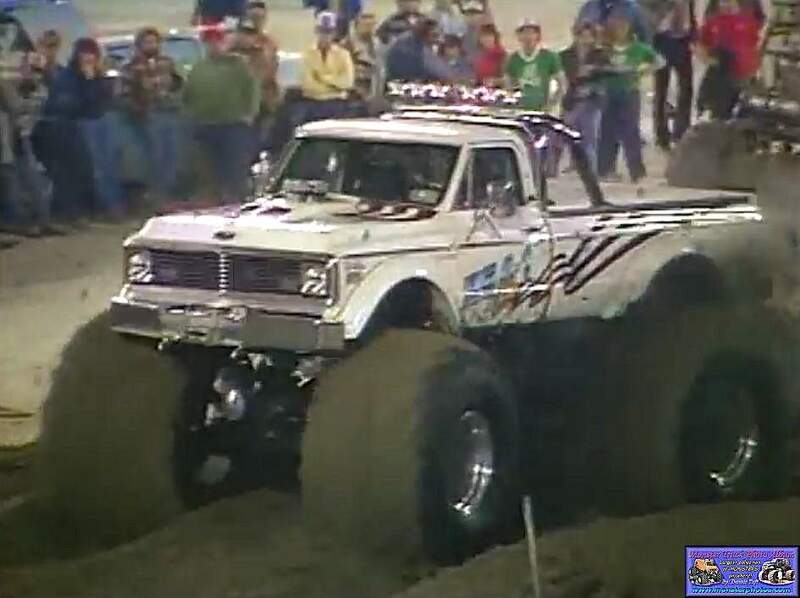 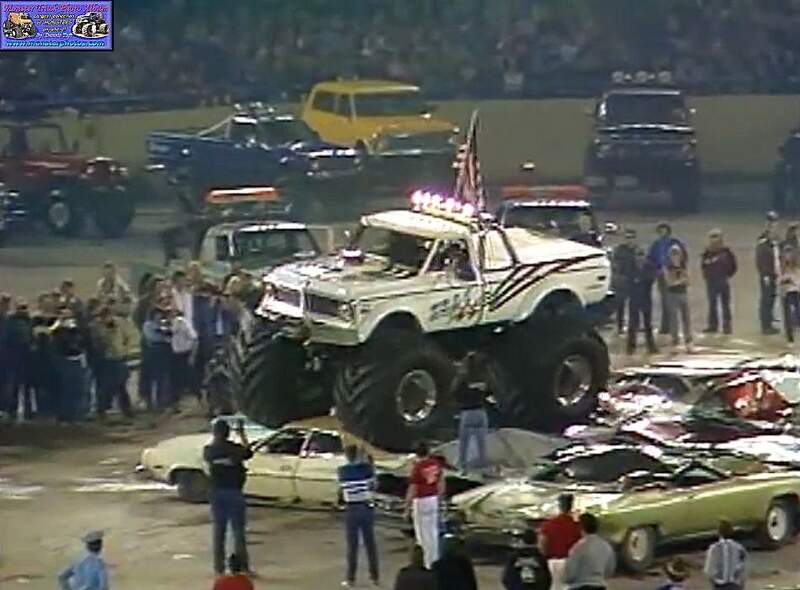 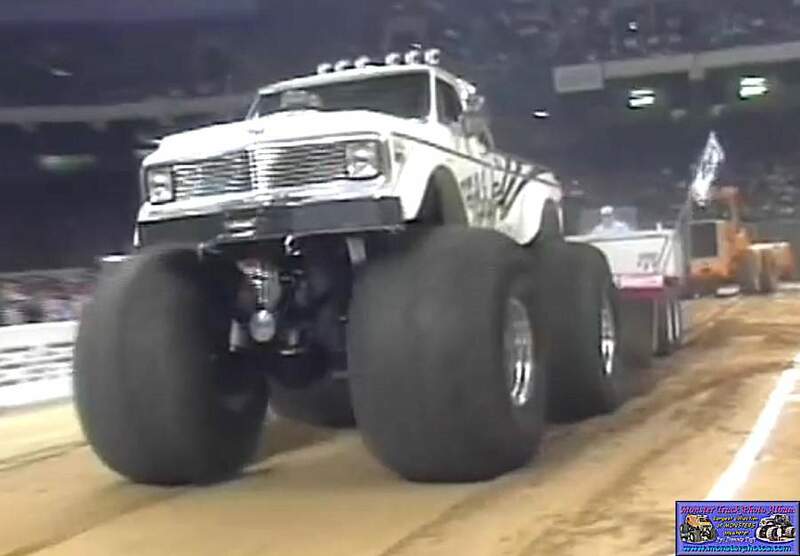 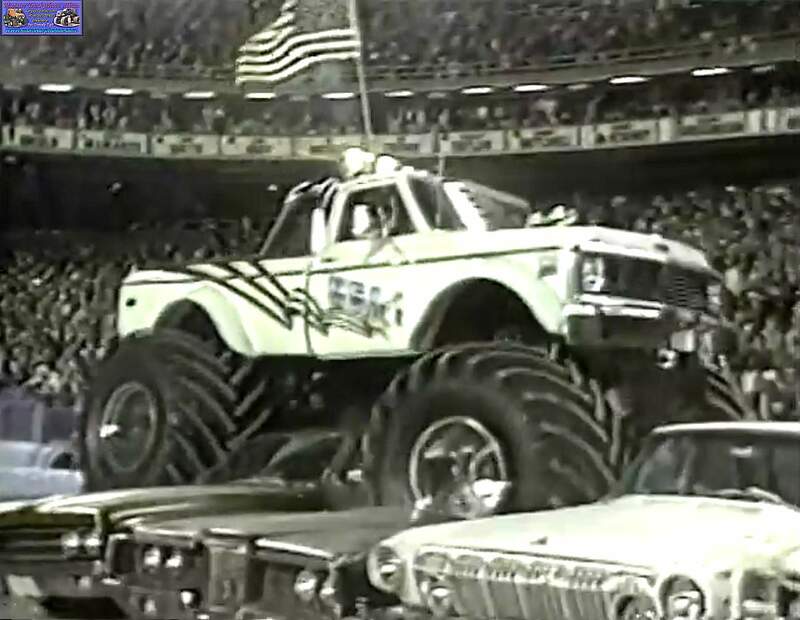 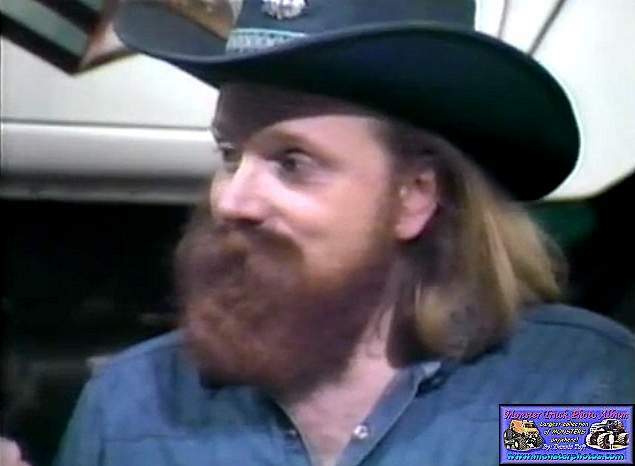 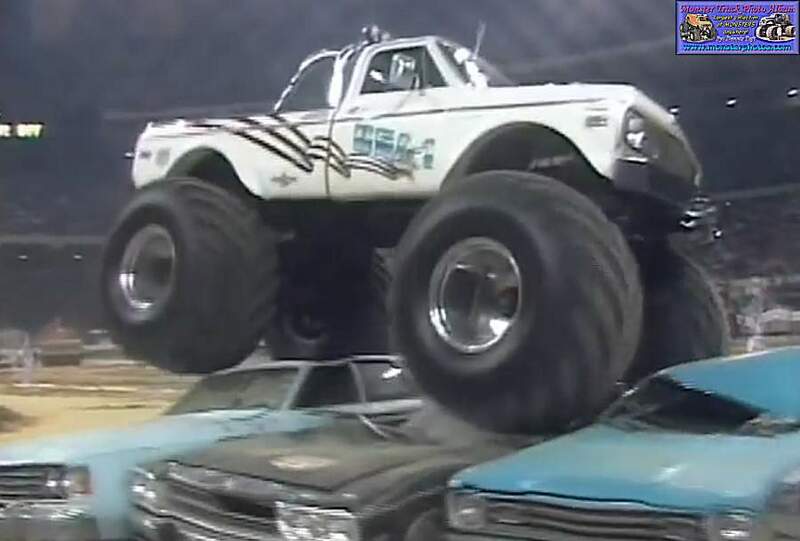 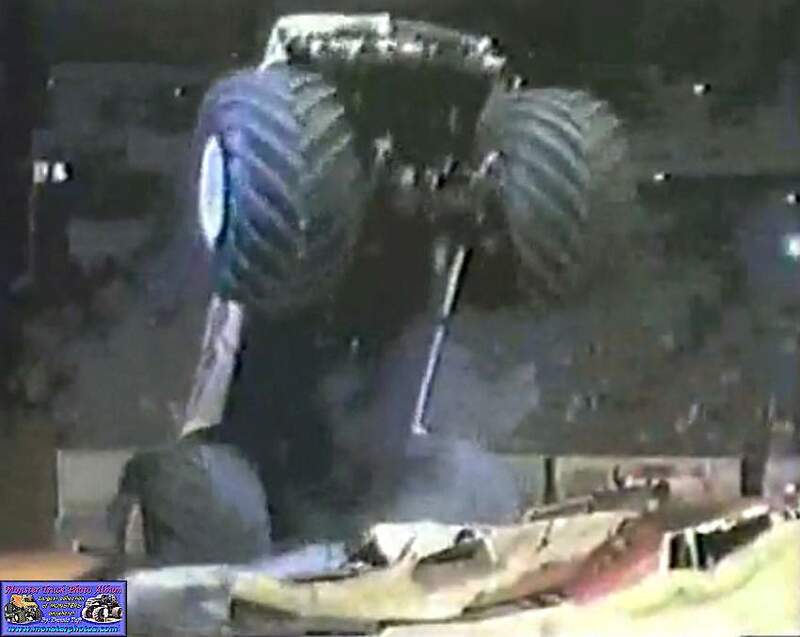 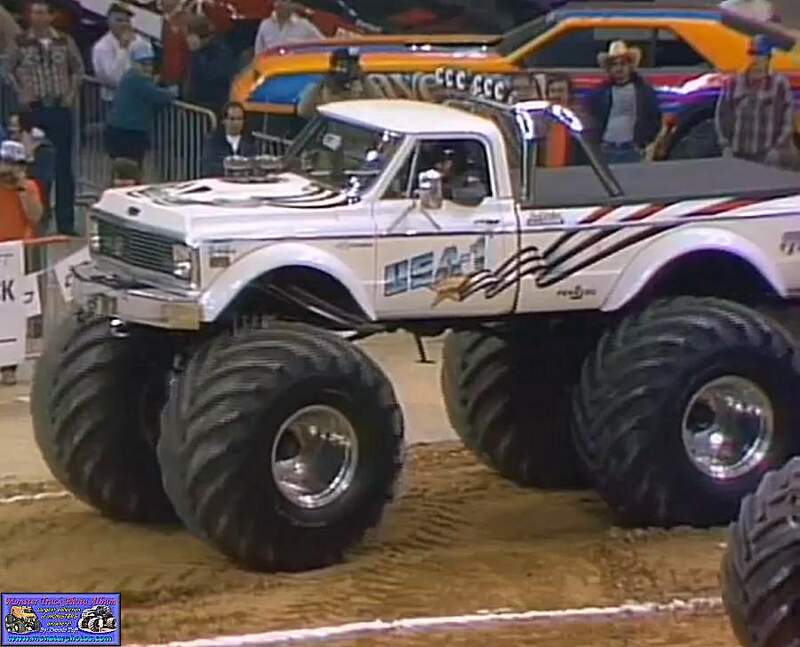 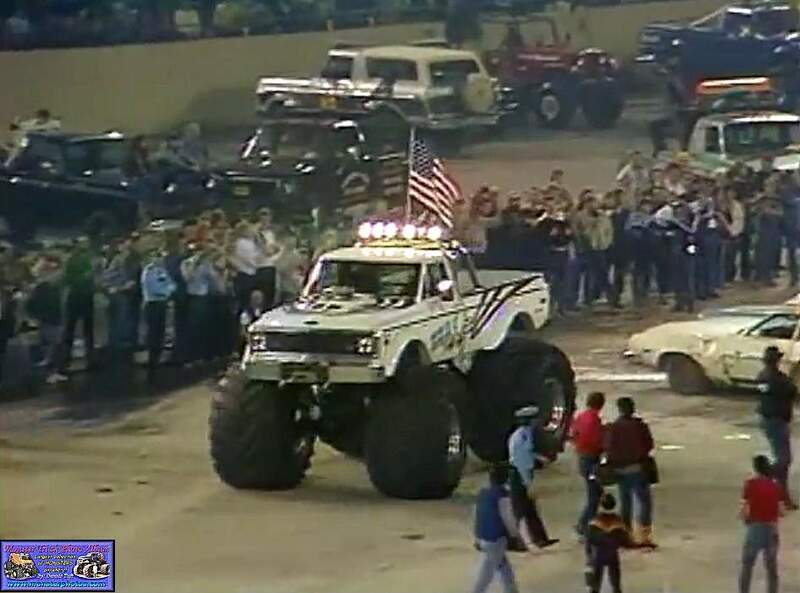 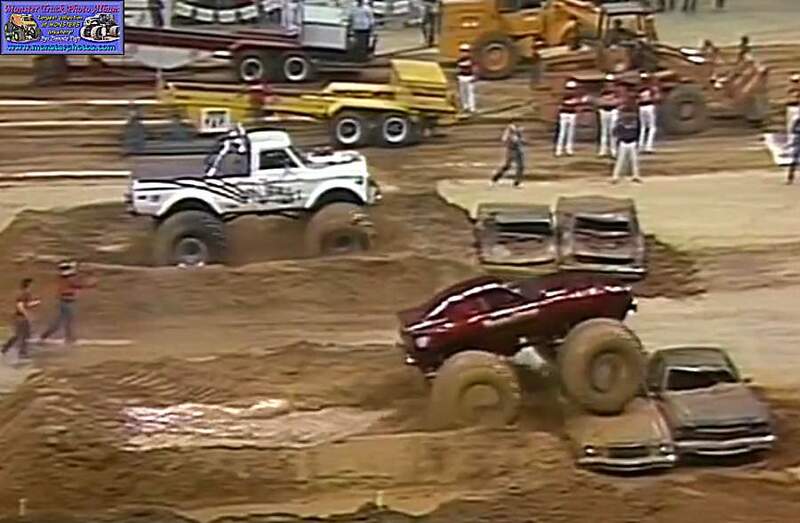 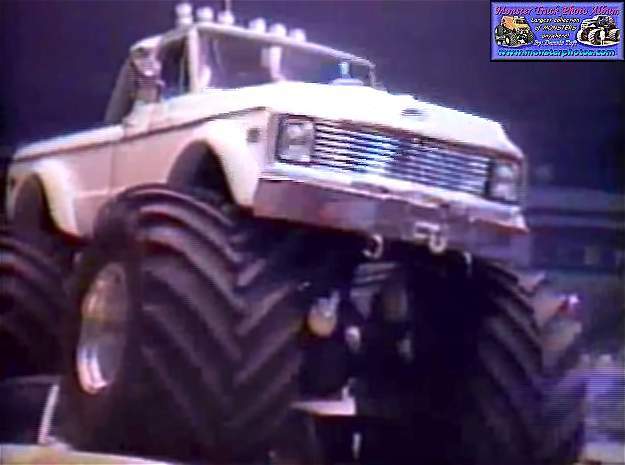 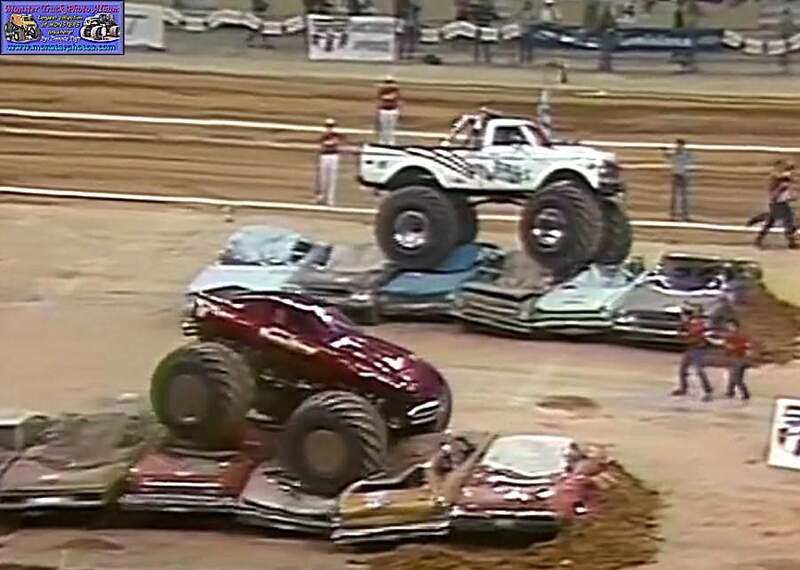 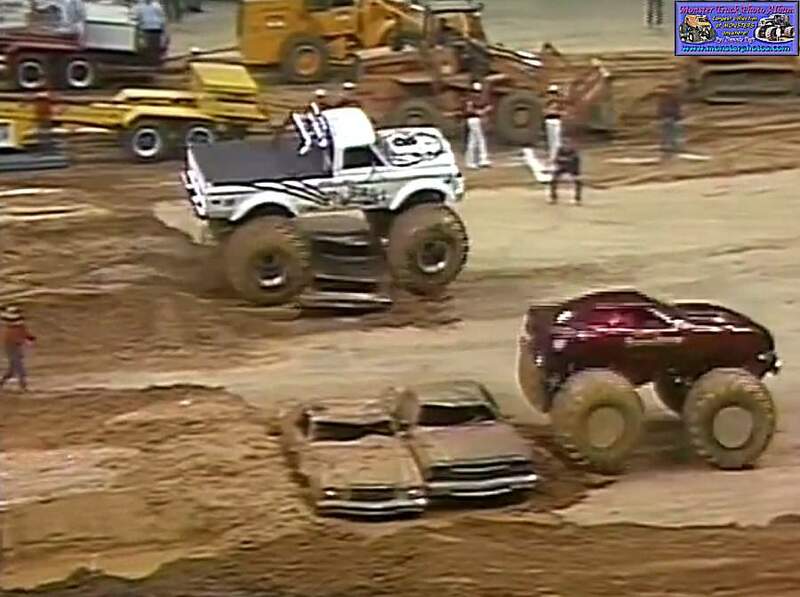 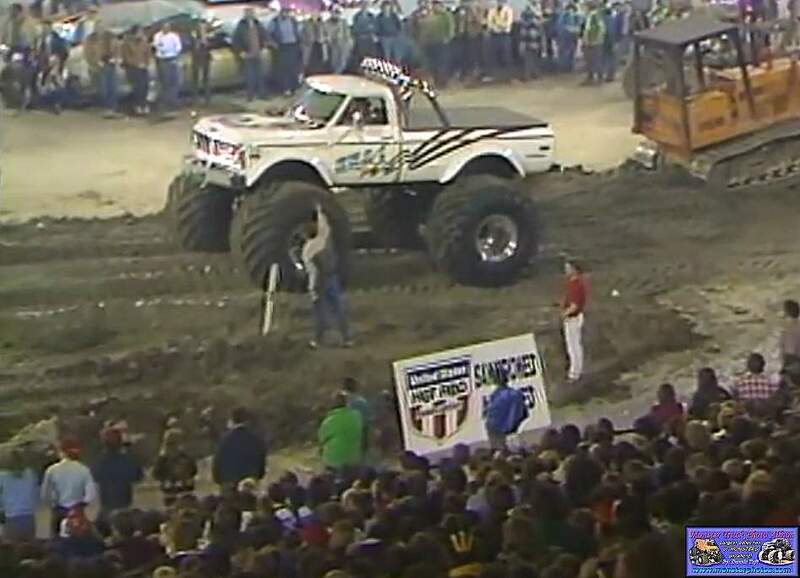 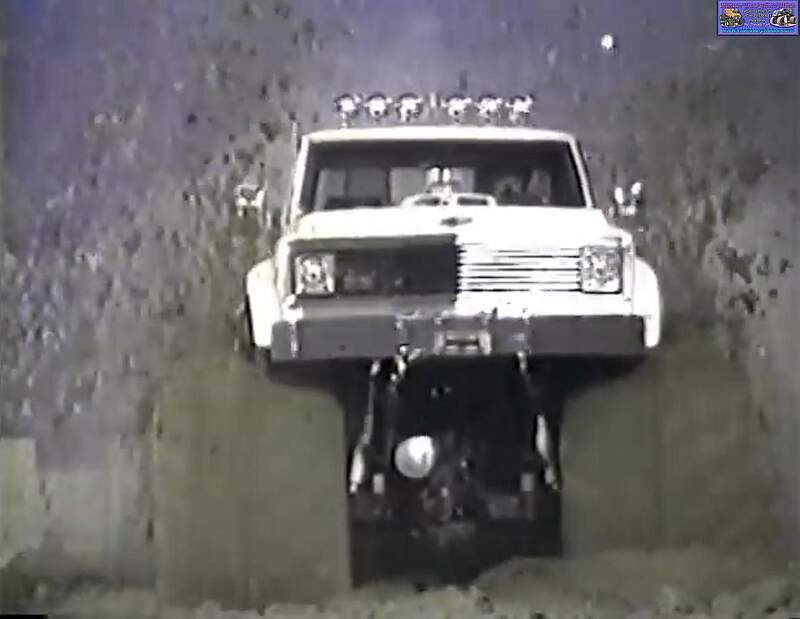 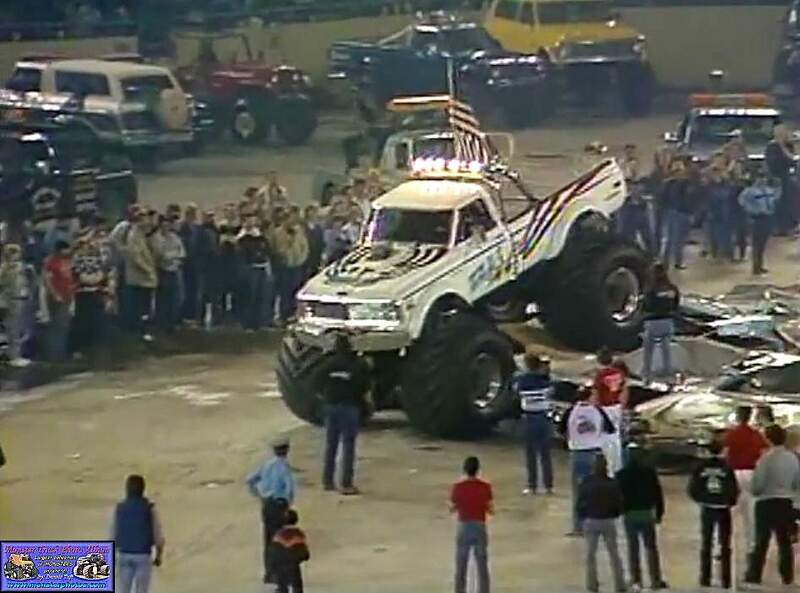 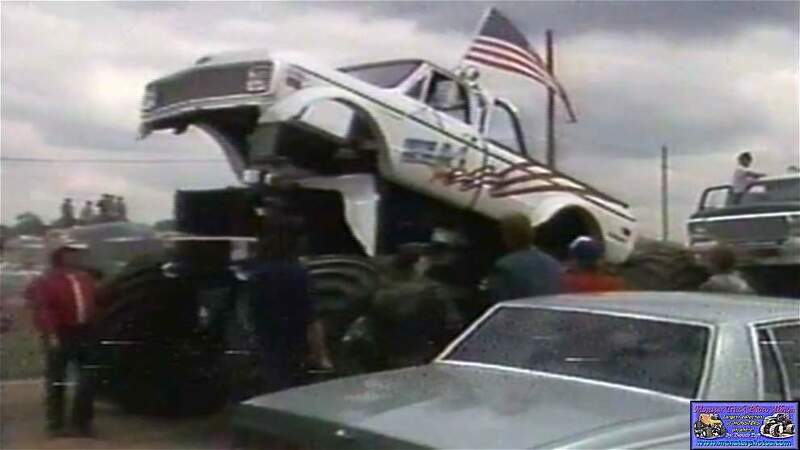 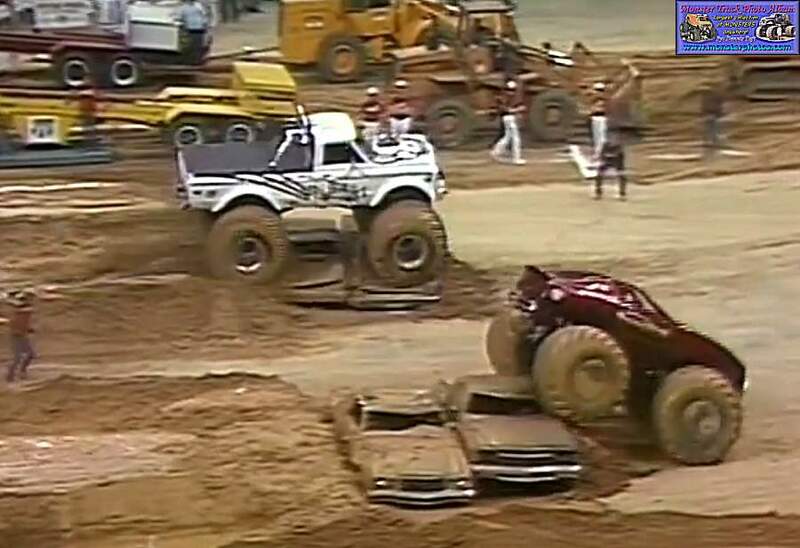 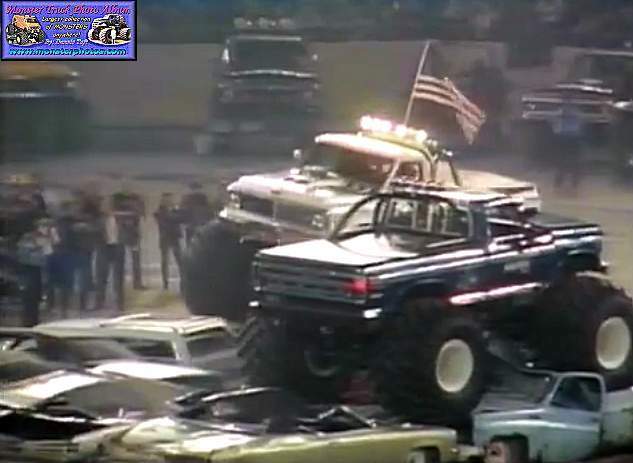 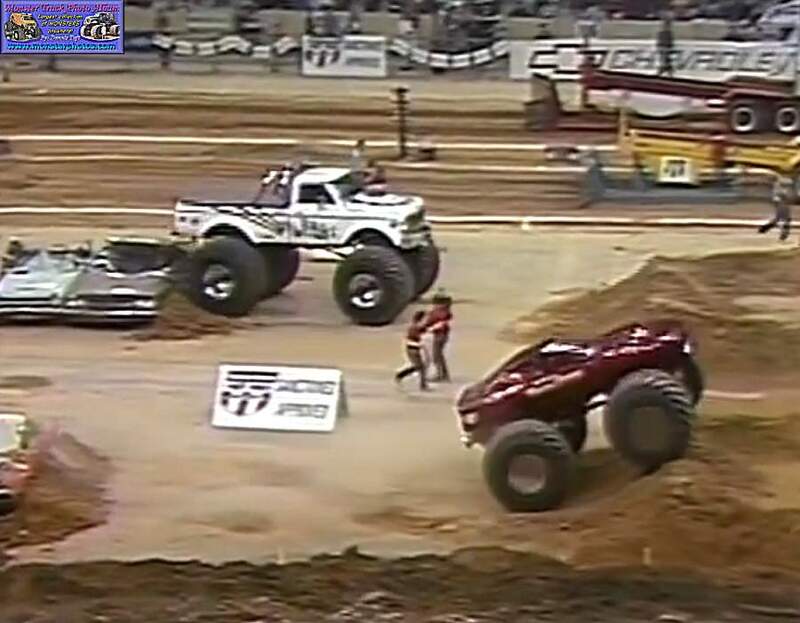 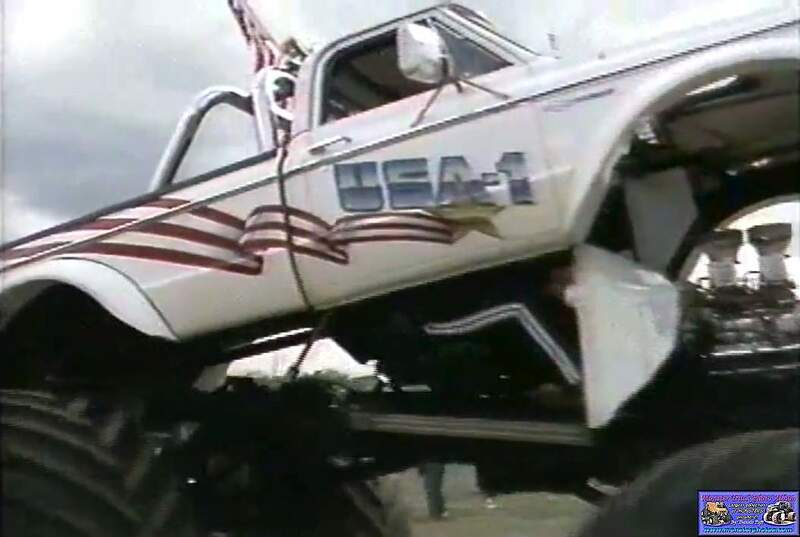 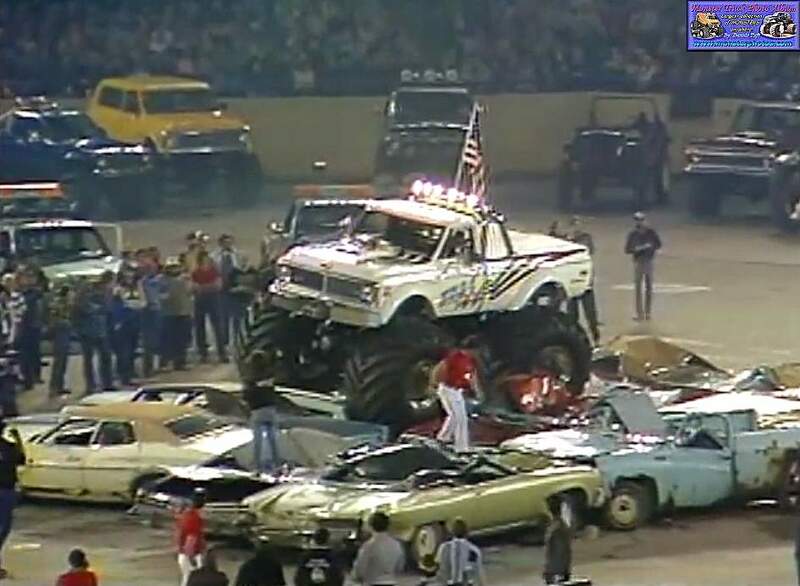 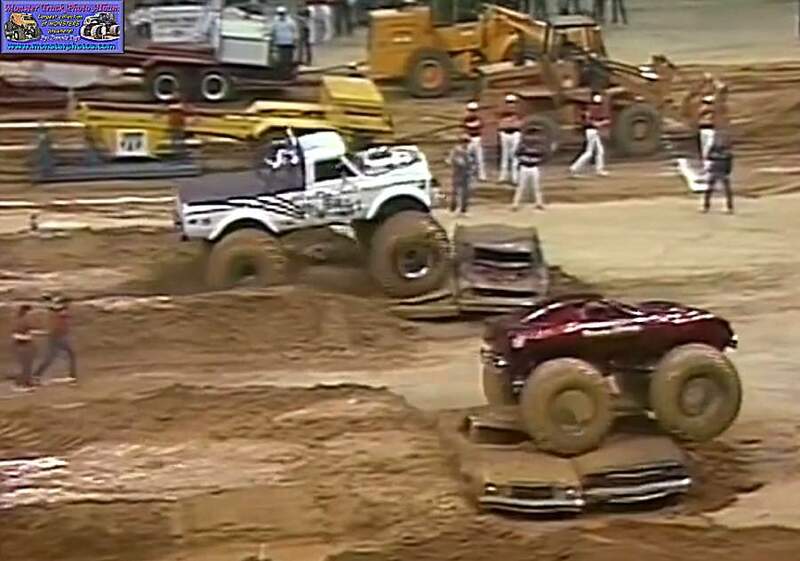 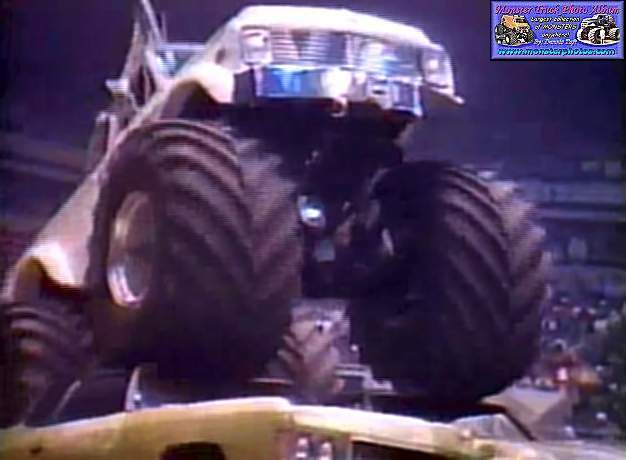 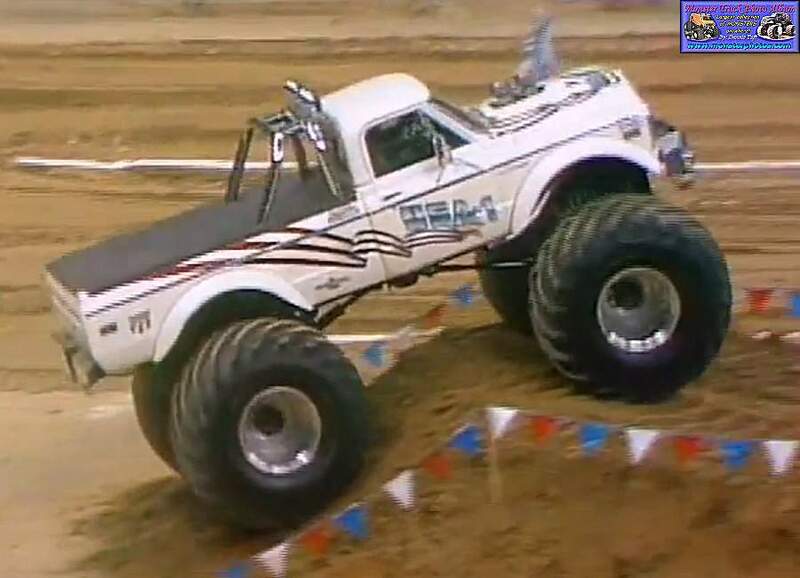 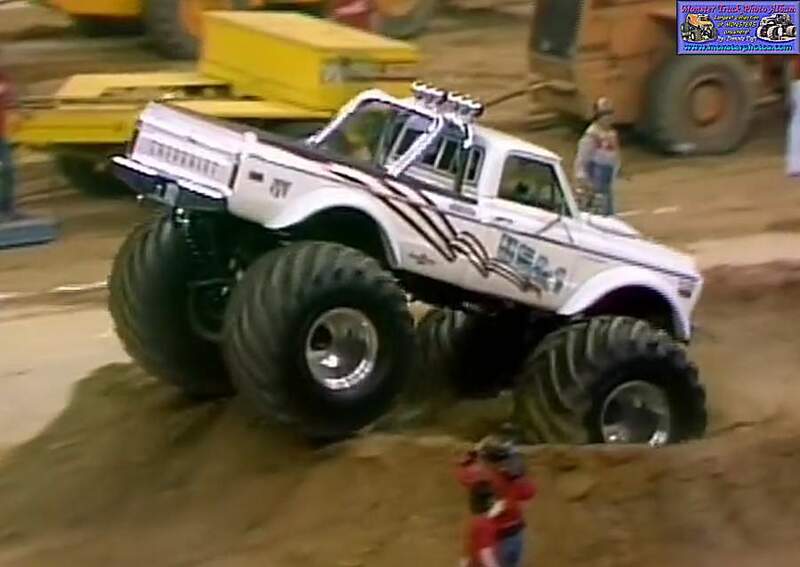 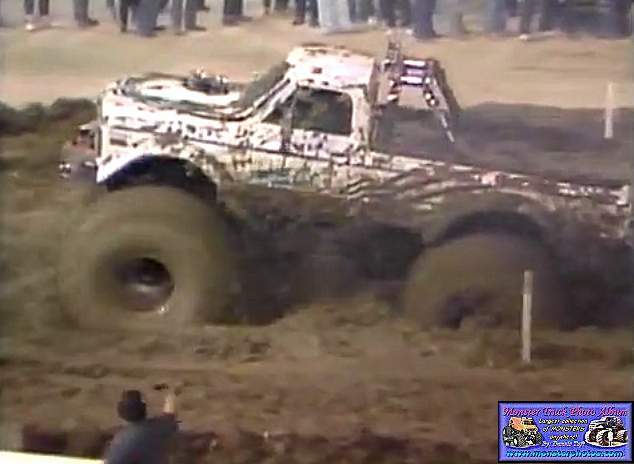 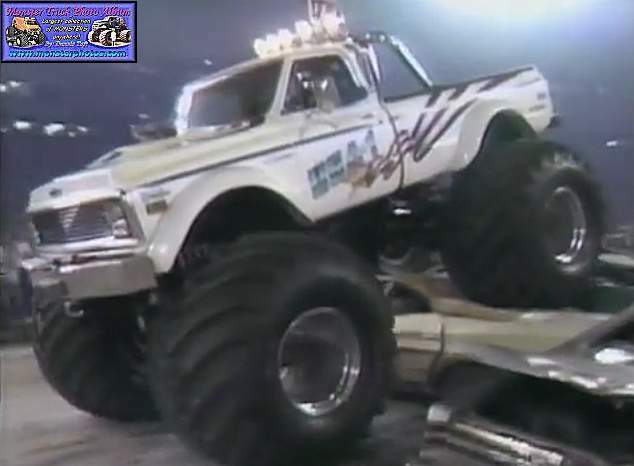 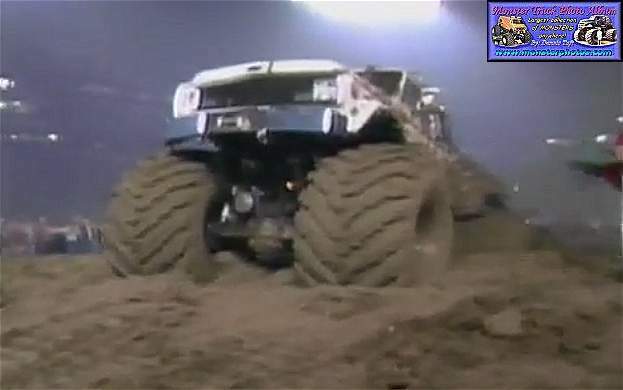 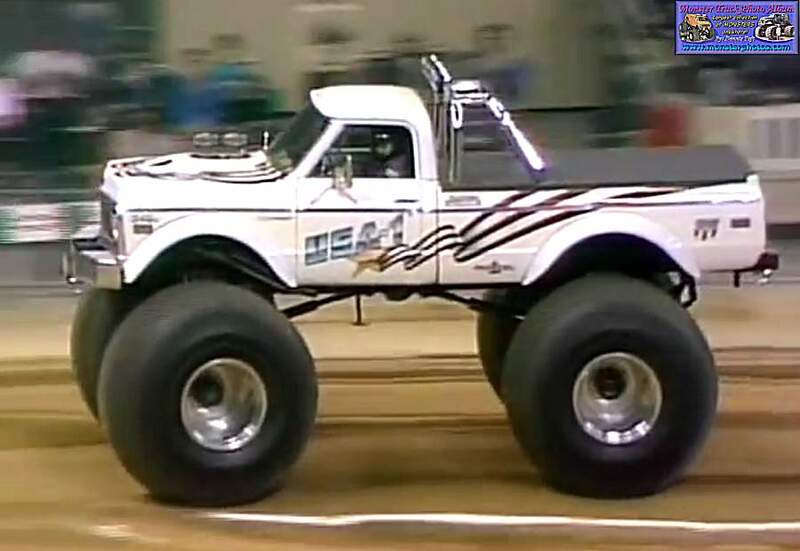 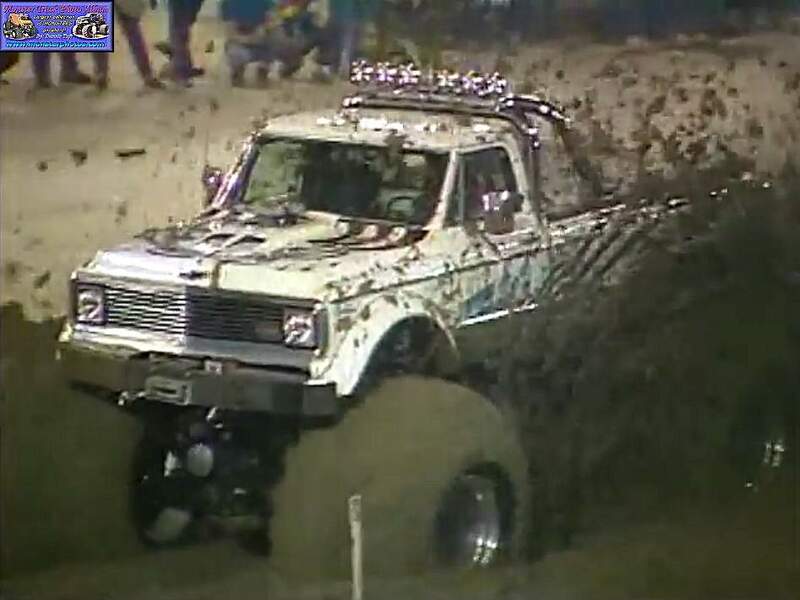 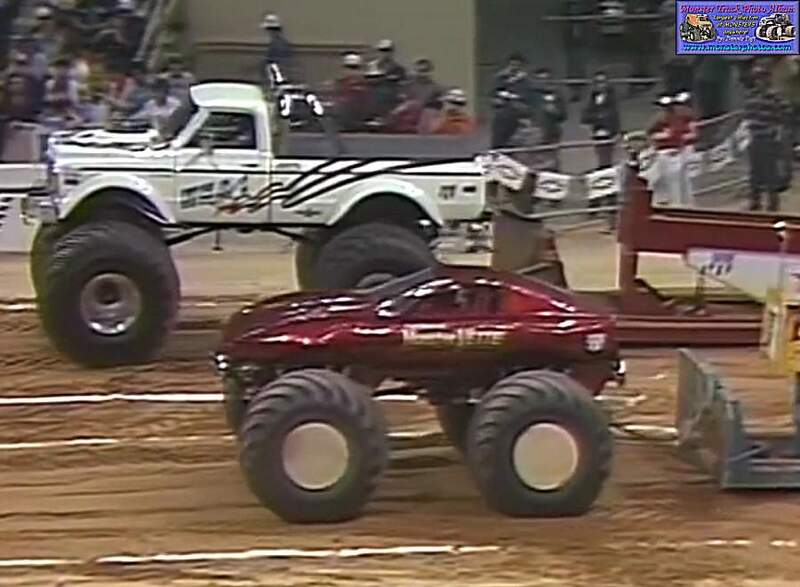 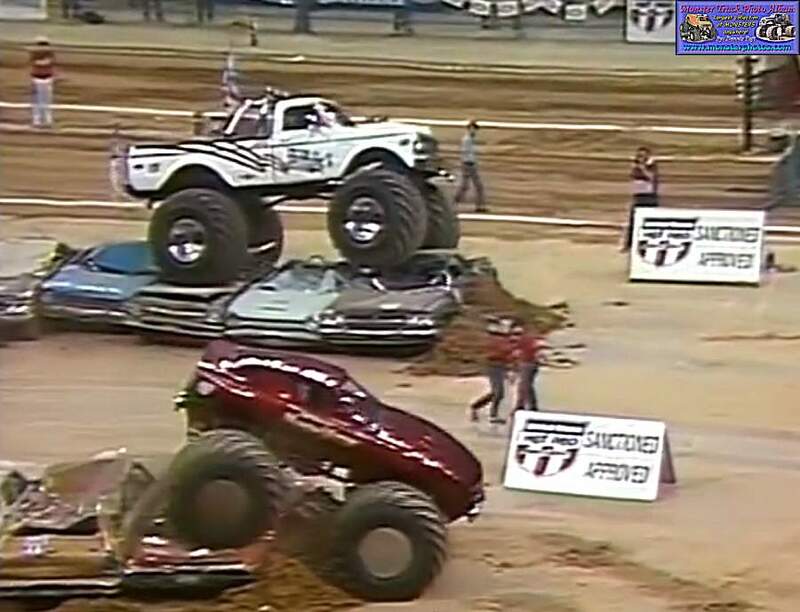 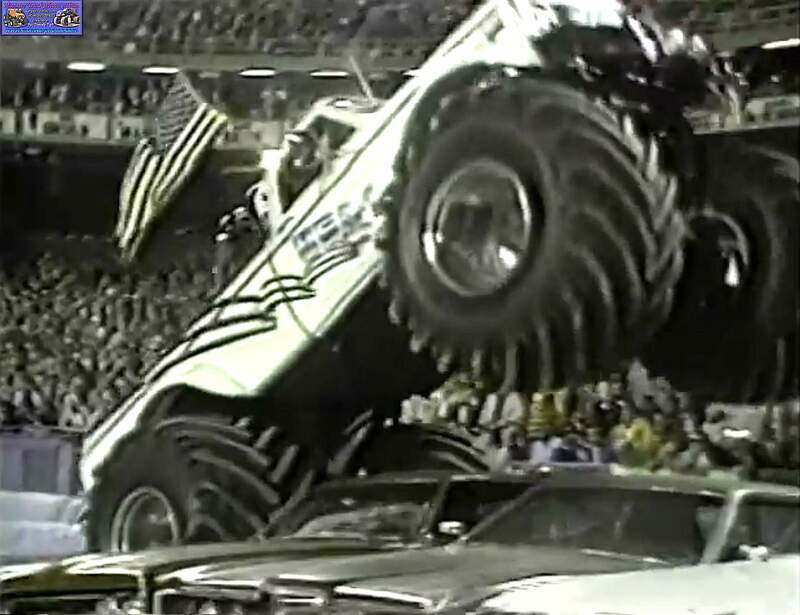 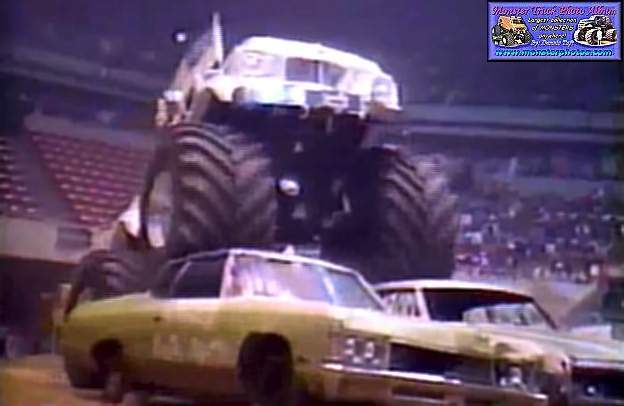 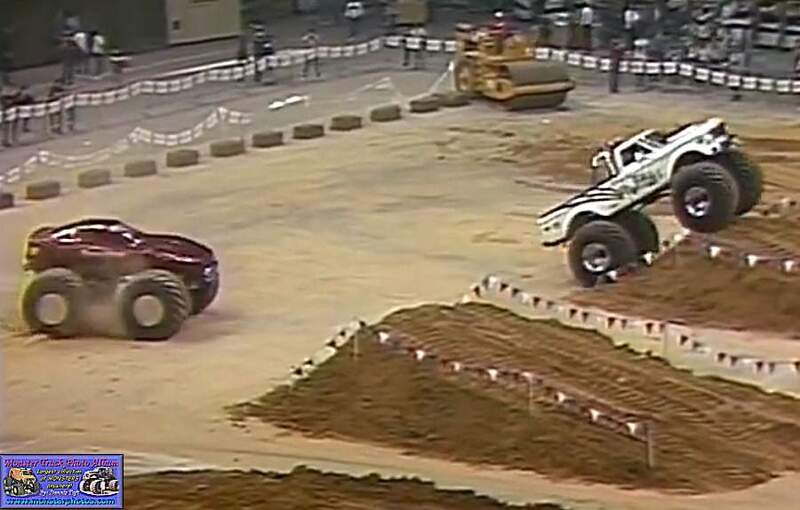 These shots were captured from Return of the Monster Trucks.